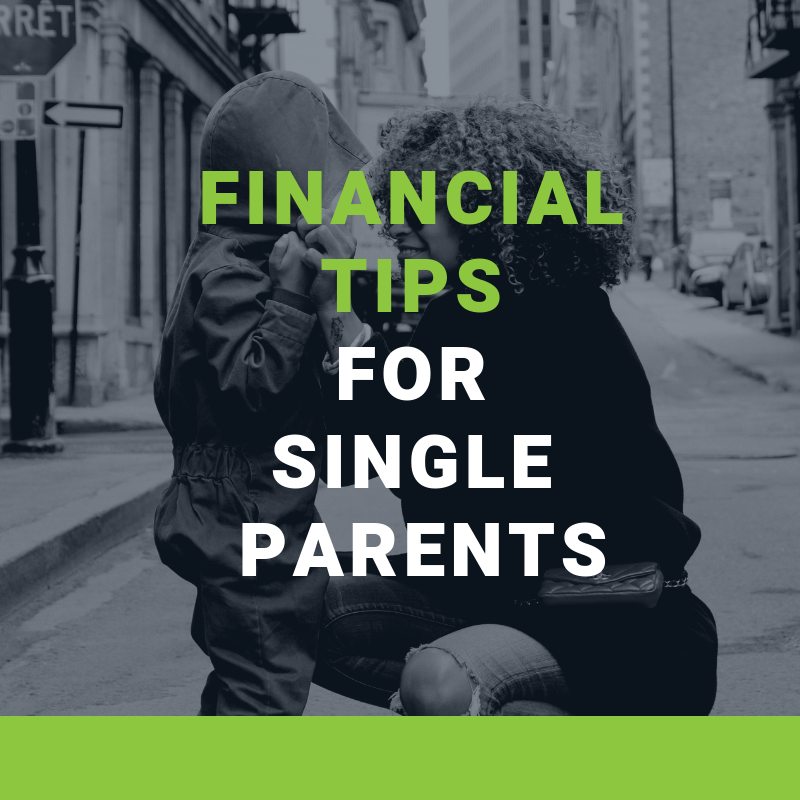 Making ends meet can be difficult enough for two-parent families, but for single-parent families it can be even harder. With a few small steps you can be on the path to financial security. Work-life balance. It’s something everyone seeks but achieving it can seem an impossible task. Join BCV Financial Solutions as we inform you of all you need to know about Single Touch Payroll (STP) and how it will impact your business. 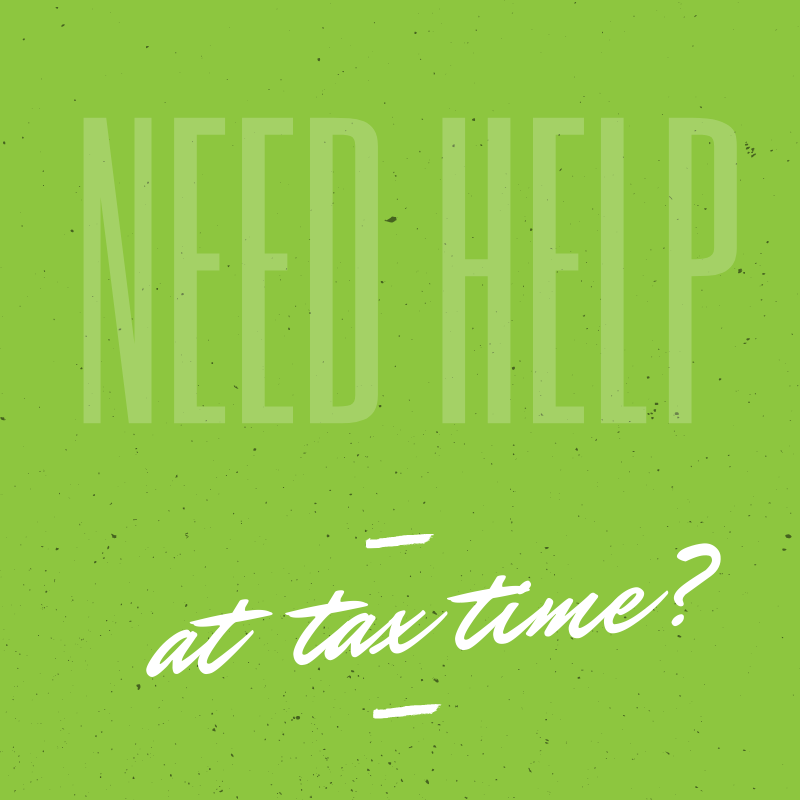 Understanding what the potential tax liability will be for your business and allowing time for tax planning can save you thousands of dollars. At the very least, it will assist you in the preparation of your budgets and cash flow projections for the coming financial year. 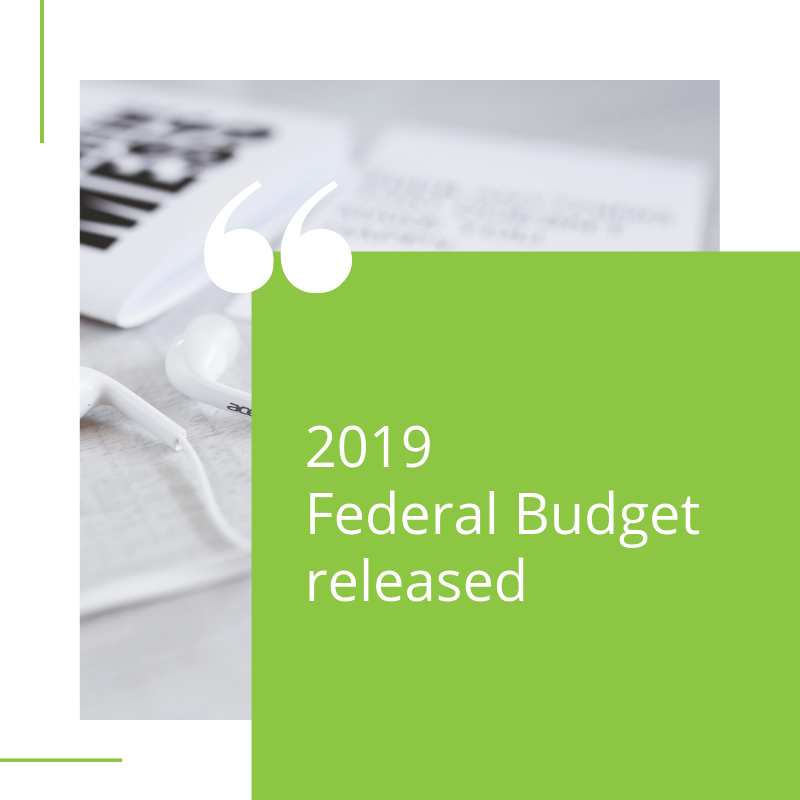 The 2019 Federal Budget was released on the 2nd of April 2019. Take a closer look at the article here. 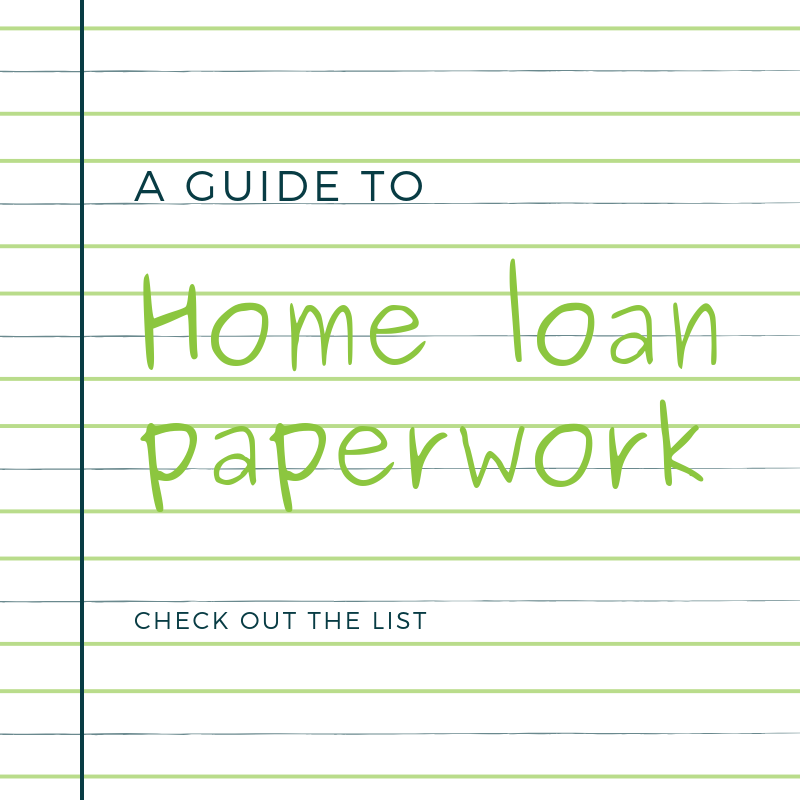 We have put together a guide for the paperwork needed for a home loan approval. 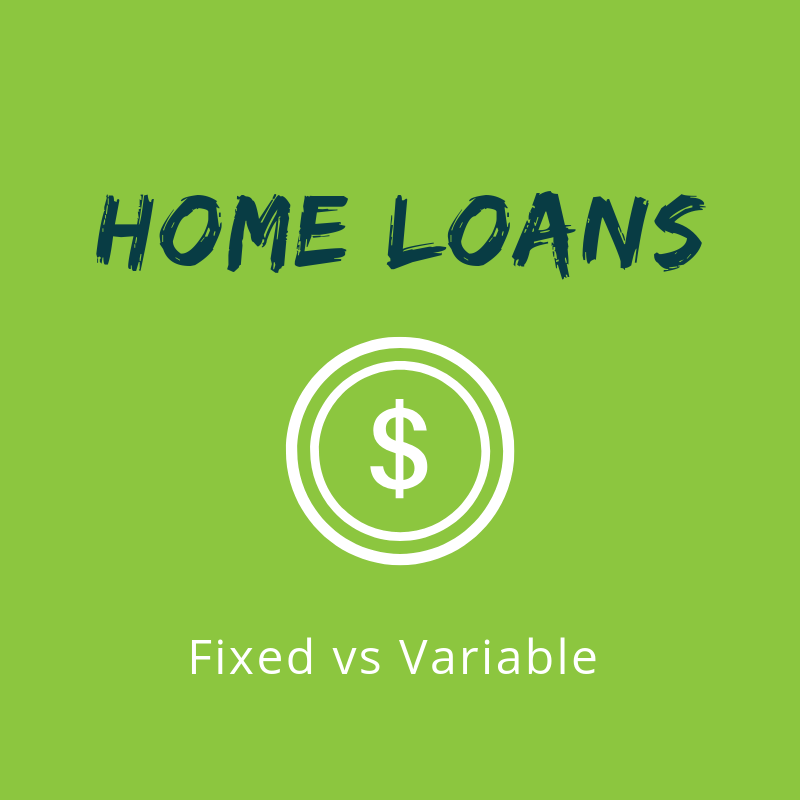 Home loans - fixed or variable which is better? We take a closer look. 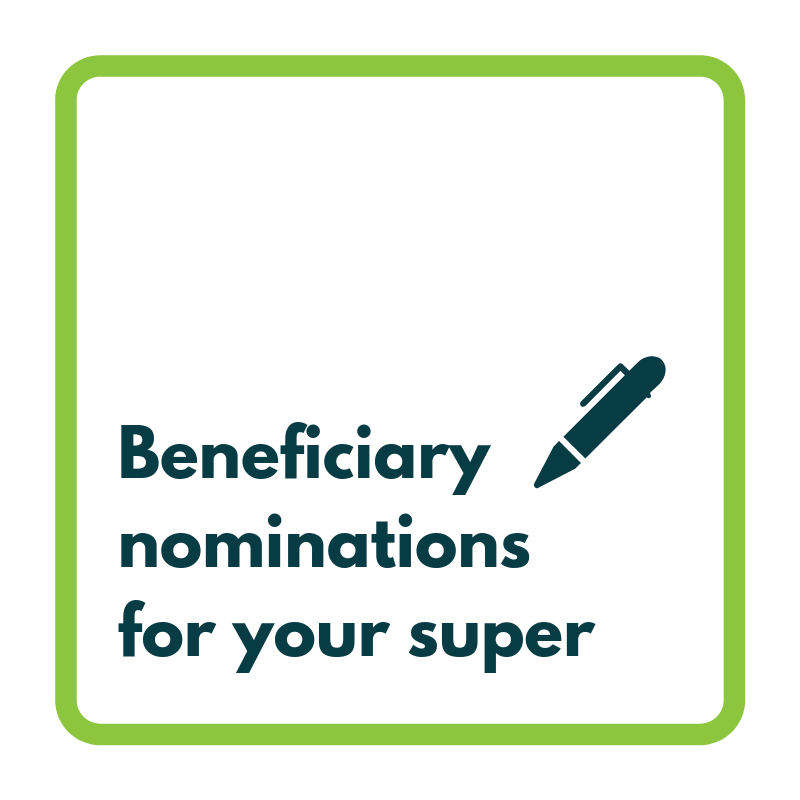 Updating your nomination of beneficiary for your superannuation fund may not be high on your priority list. But it should be. If you think that being only a few days late making a payment on a loan doesn’t matter, think again. 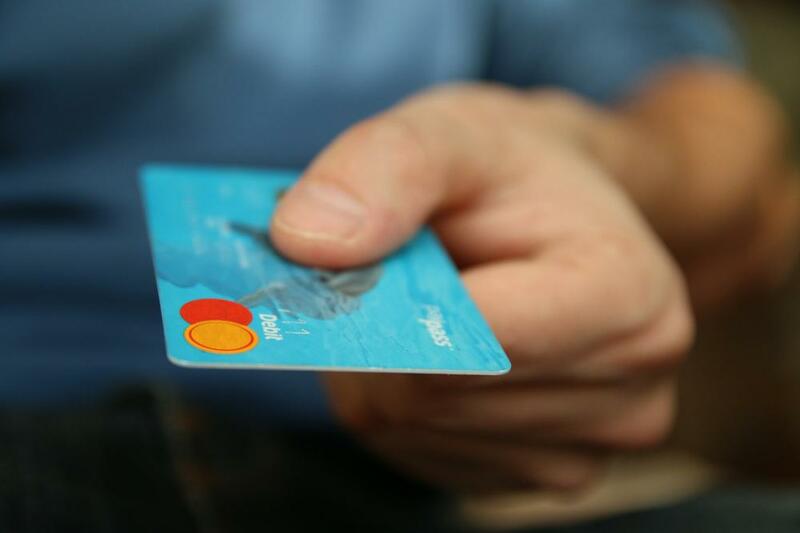 Even the smallest lapse could potentially affect your credit worthiness. Read the full article here. 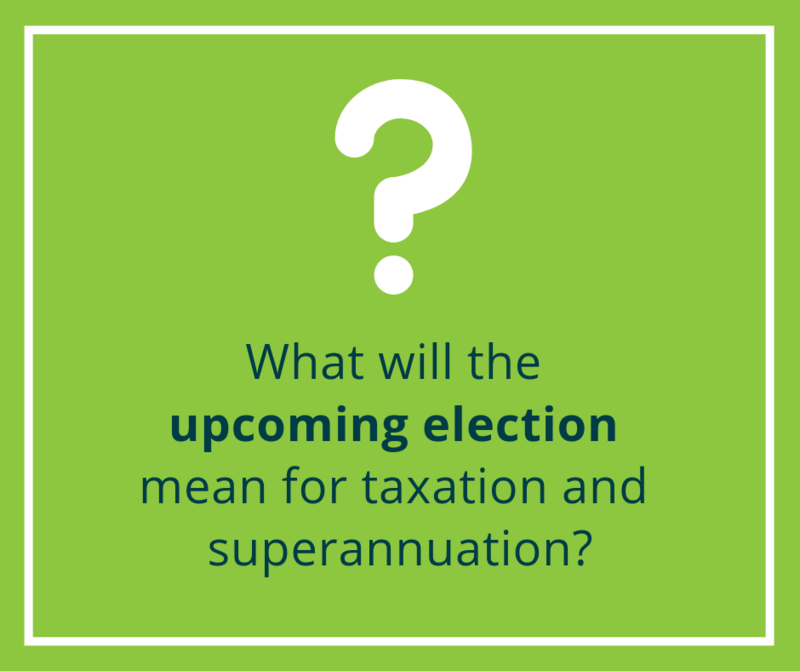 With a federal election looming, some predicting as soon as May, it’s timely to consider some of the legislative changes being considered by the major parties that may impact on taxation of individuals and small businesses. 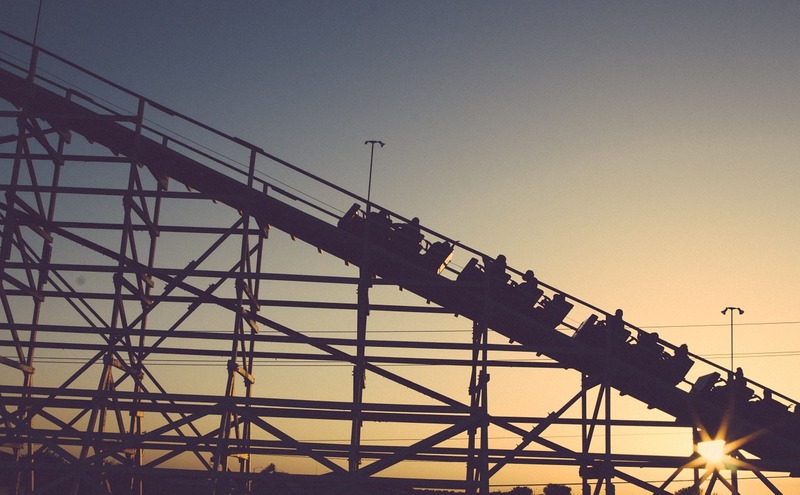 Where are interest rates headed? And where to from here? 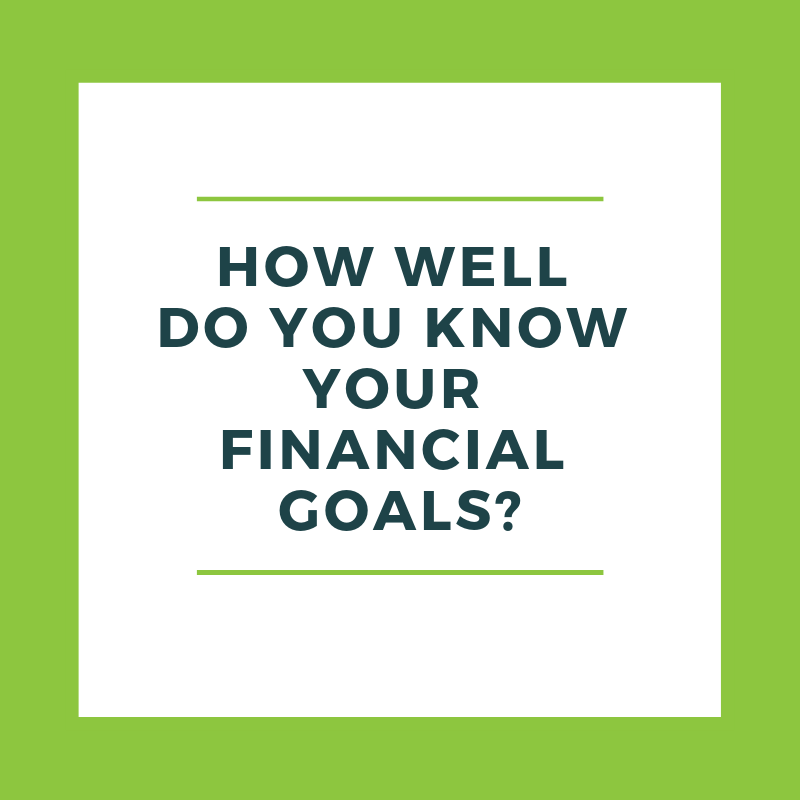 How well do you know your financial goals? Take the test now. 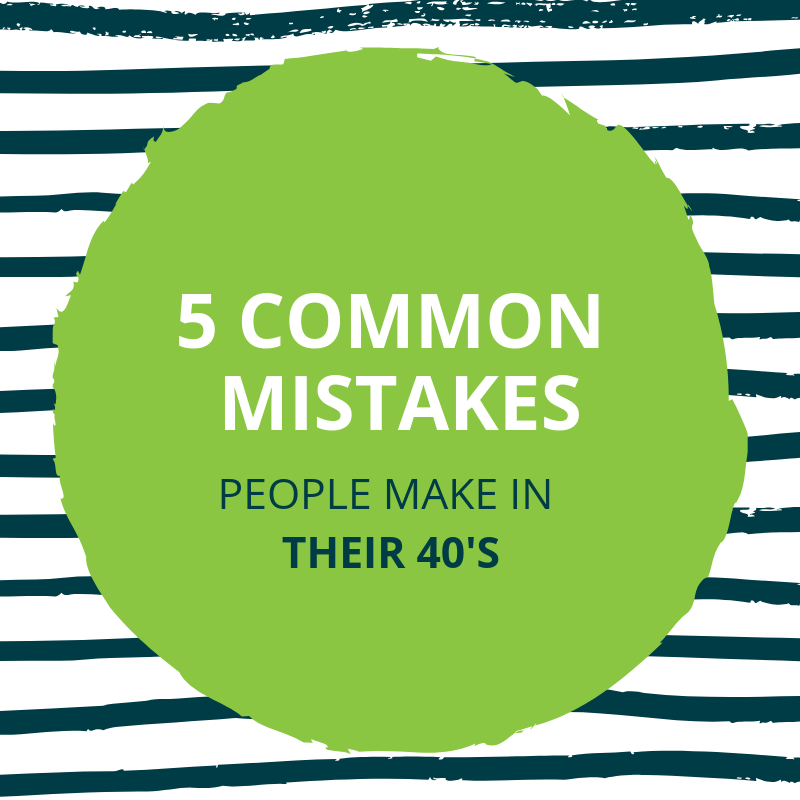 We take a look at five of the most common financial mistakes people make when they’re aged in their 40's. 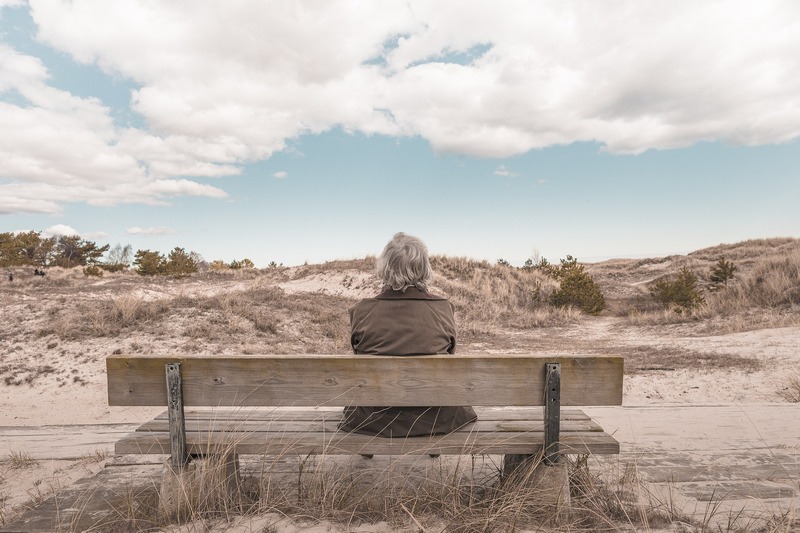 As we approach retirement some people start to panic a little wondering if they are truly looking forward to the time of their life when they no longer have to work. Instead of worrying, have a read of the following tips. 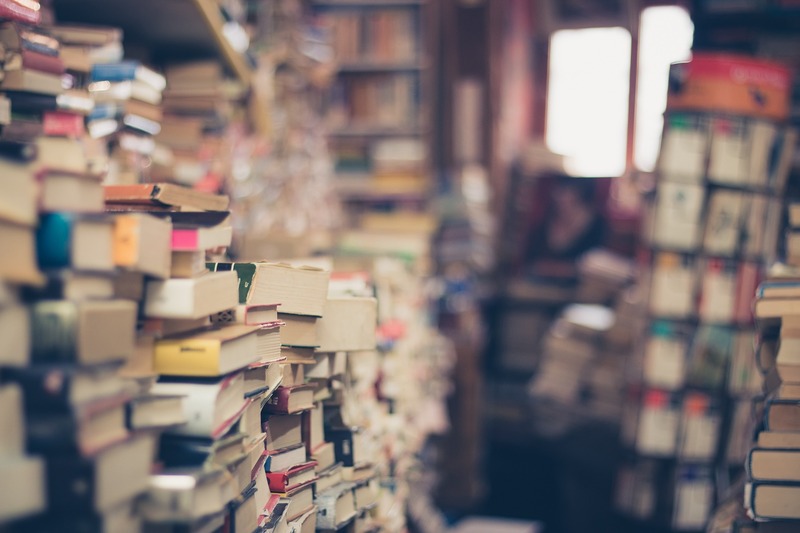 Aside from the legal reasons, there are many financial reasons for making sure your books are in order. 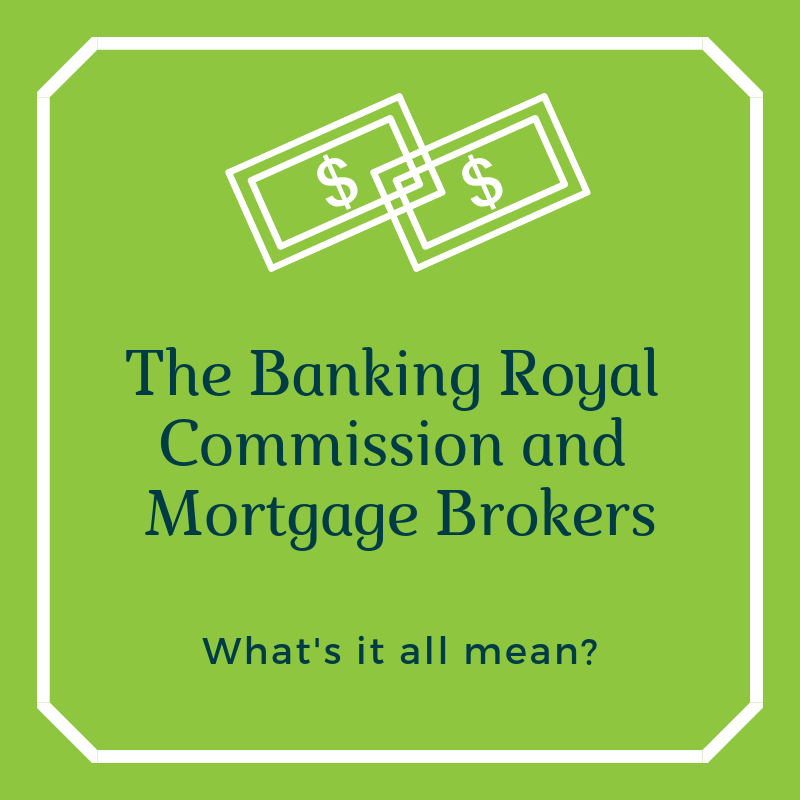 No doubt you’ll have seen some media in the last few days regarding the recommendations arising from the Royal Commission into the Financial Services industry. But what does it actually all mean? 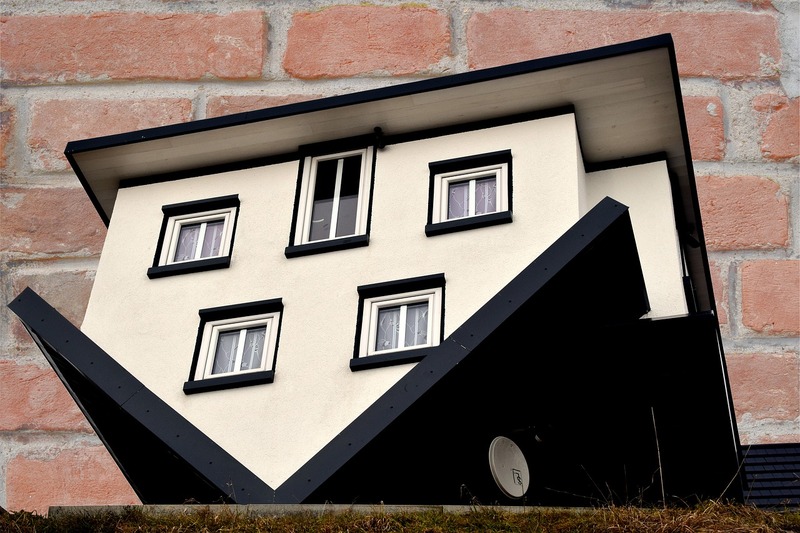 We take a look at the long-term after effects of underinsurance. It not only details the financial consequences but the impacts on the health and social welfare of those left behind when the key breadwinner dies. Ready to make the leap from renting to buying a home? 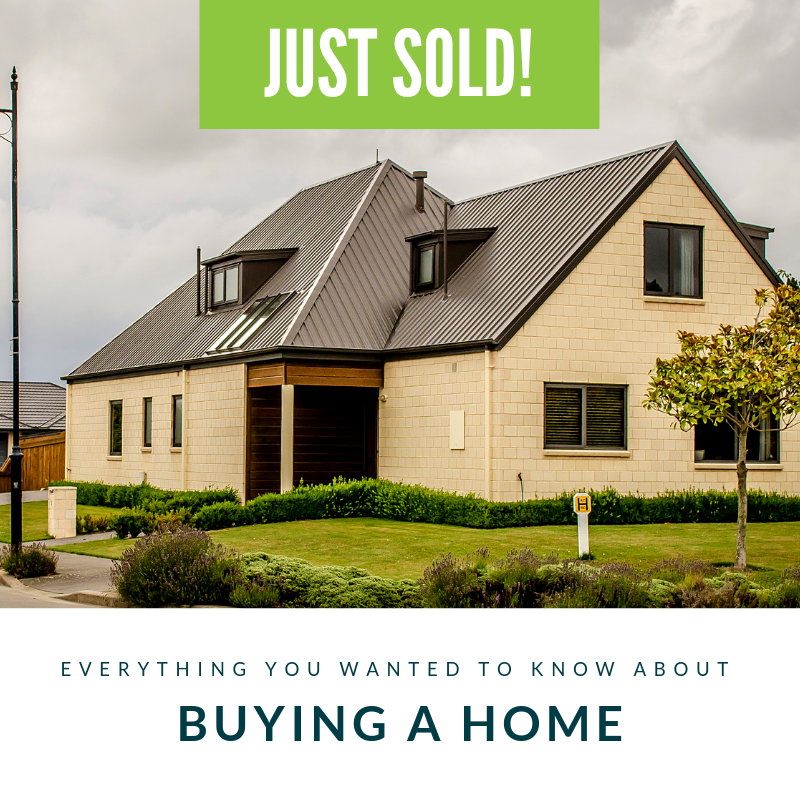 Well, before you begin the search for your perfect home there are lots of questions to ask yourself. Here are some of the big ones. 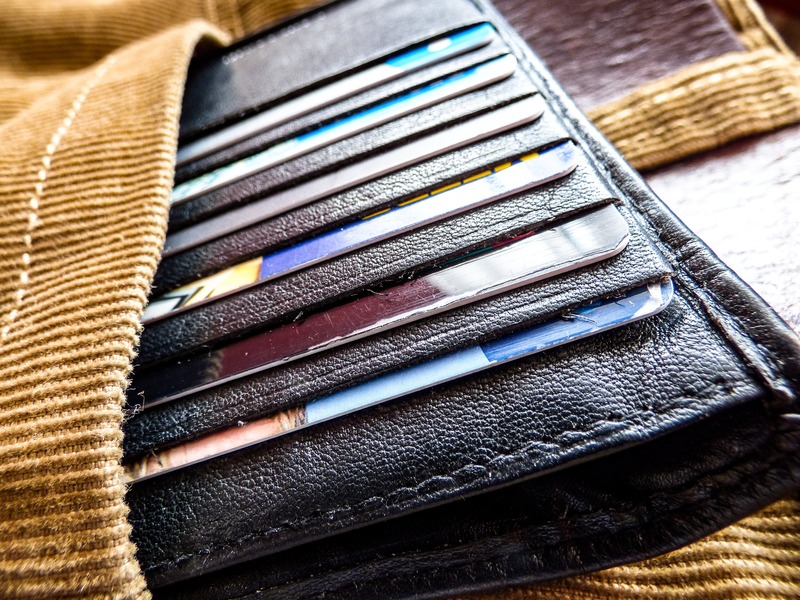 Credit cards are now a major source of personal financial debt in Australia. 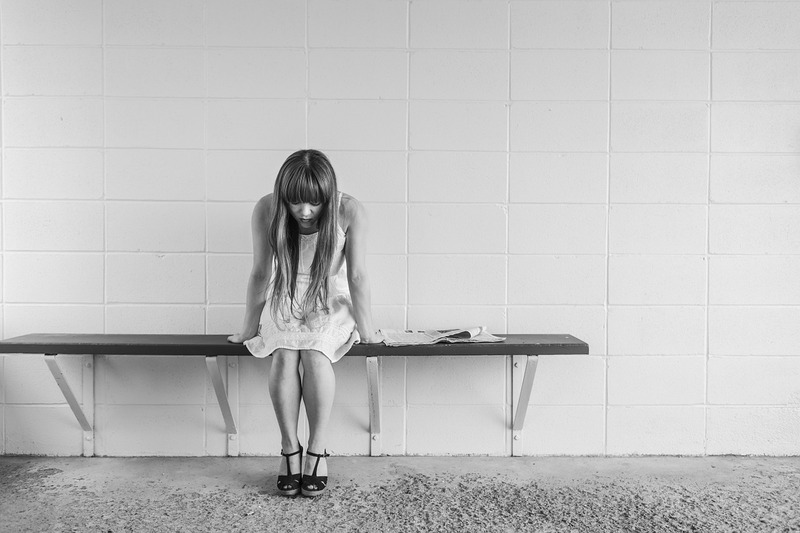 A recent report issued by ASIC indicated that one in six Australians are struggling under a mountain of debt that might never be repaid. Many of us would like to think that ‘older’ means ‘wiser’, but when it comes to money that isn’t always the case. 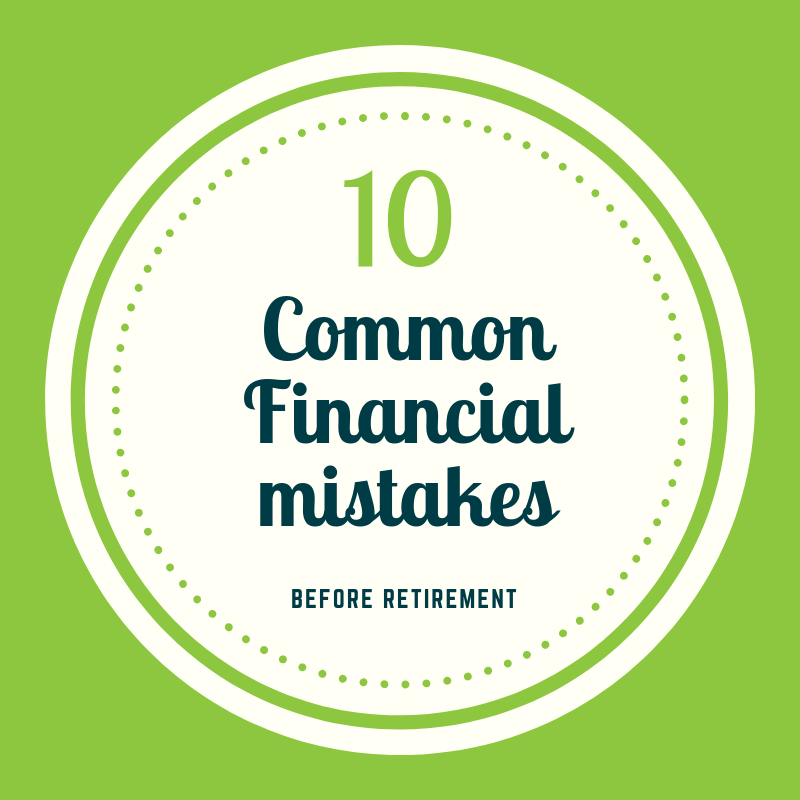 We highlight 10 common mistakes people make as they get closer to retirement. Another year is over - how was it for you? Did you achieve everything you’d hoped? We’ve put together a short guide to get you started and plan for the year ahead, a quarter at a time. 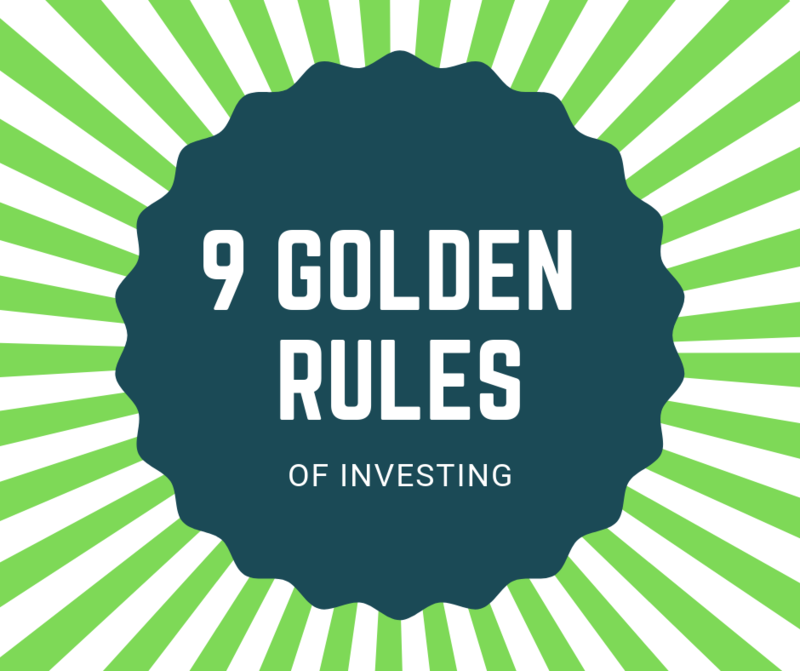 Take a look at our 9 basic tips for all investors. 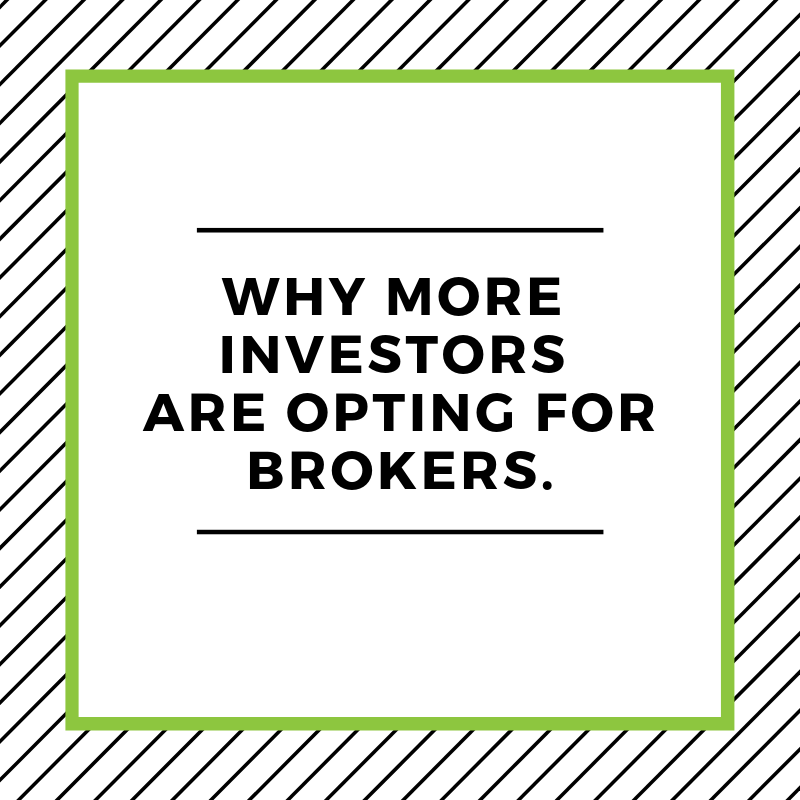 Why more investors are opting for brokers. 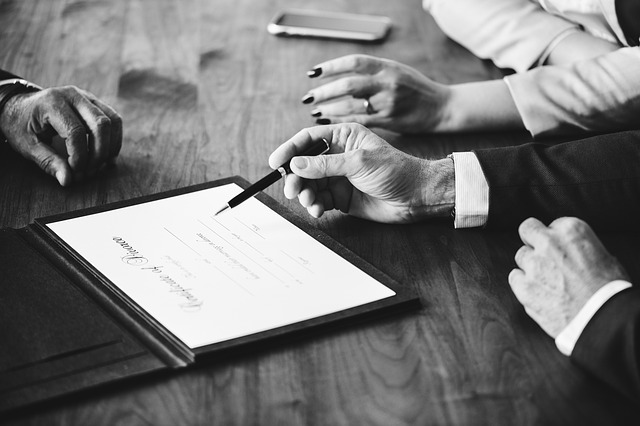 A recent survey conducted on Australian property investors revealed that they are increasingly turning to mortgage brokers for lending, with 75% of investors stating that they had used a broker, and 83% of investors intend to use a broker when seeking their next loan. 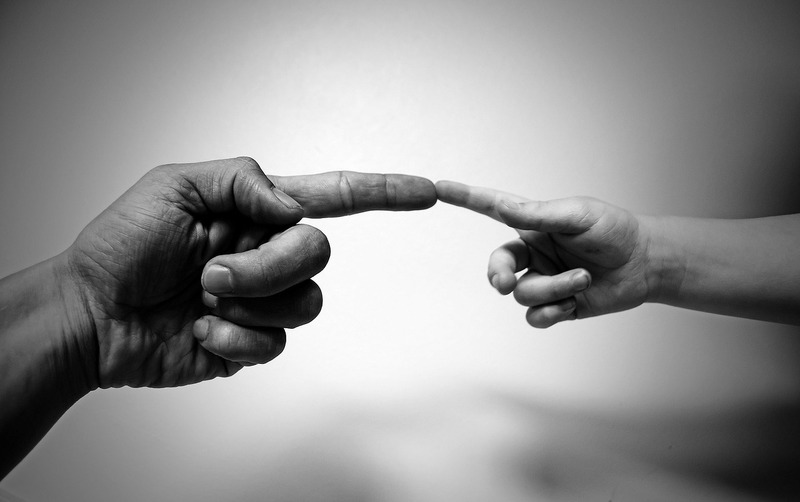 What is a Child Maintenance Trust? 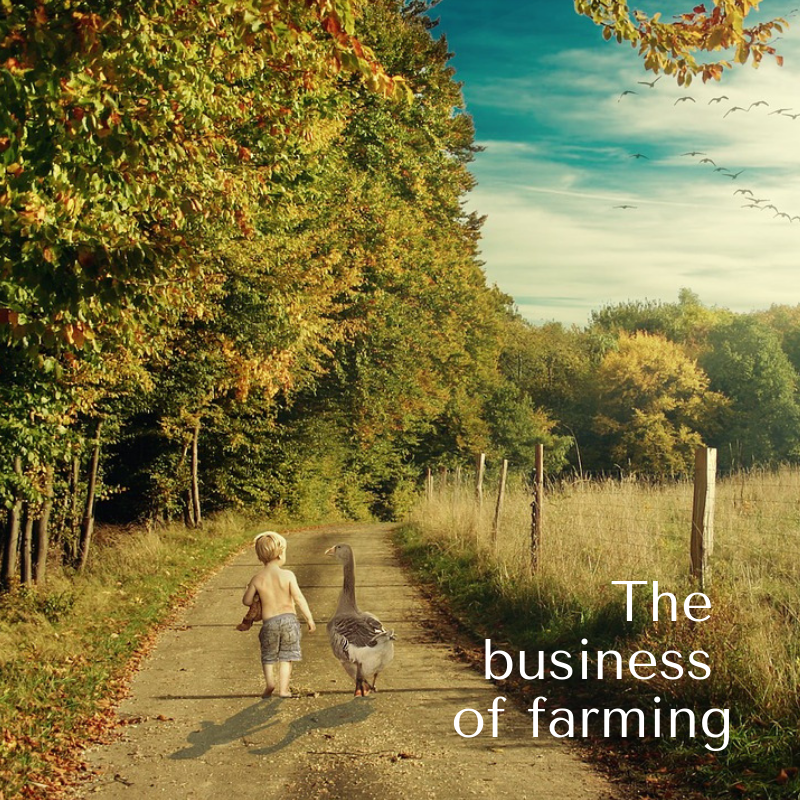 There is a need for Australian primary producers to view their farm as a business, where strategic planning and professional support play crucial parts in building a successful and sustainable business. Insurance plays an important role in any wealth creation and management strategy. 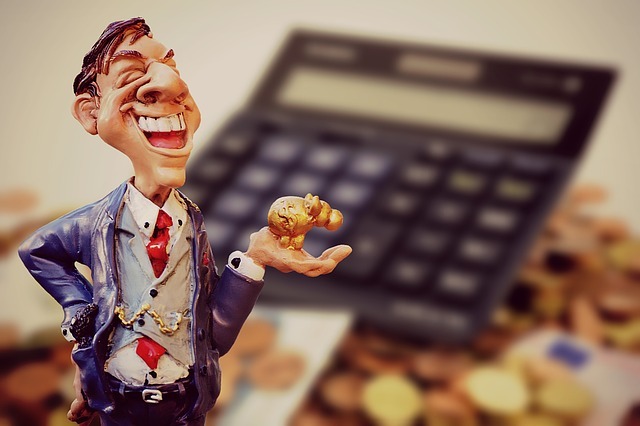 There is little point in accumulating wealth if you don’t protect it, or yourself, from unforeseen risks that can undermine the best made plans. 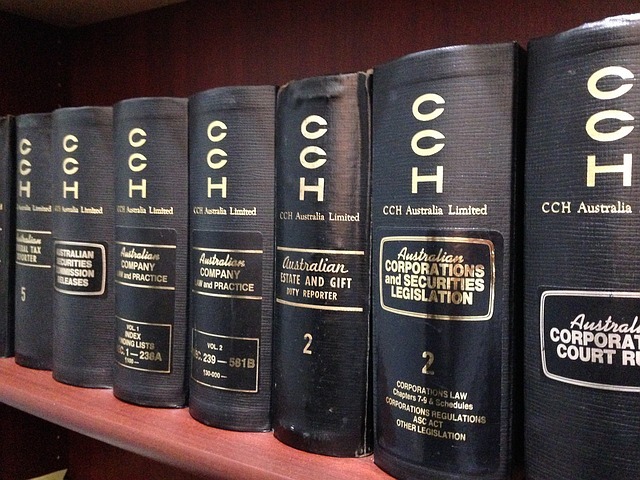 If you’re close to reaching your preservation age you will soon have access to your superannuation. An increasing number of people at this stage are taking control of their finances and buying themselves a new later-life career. 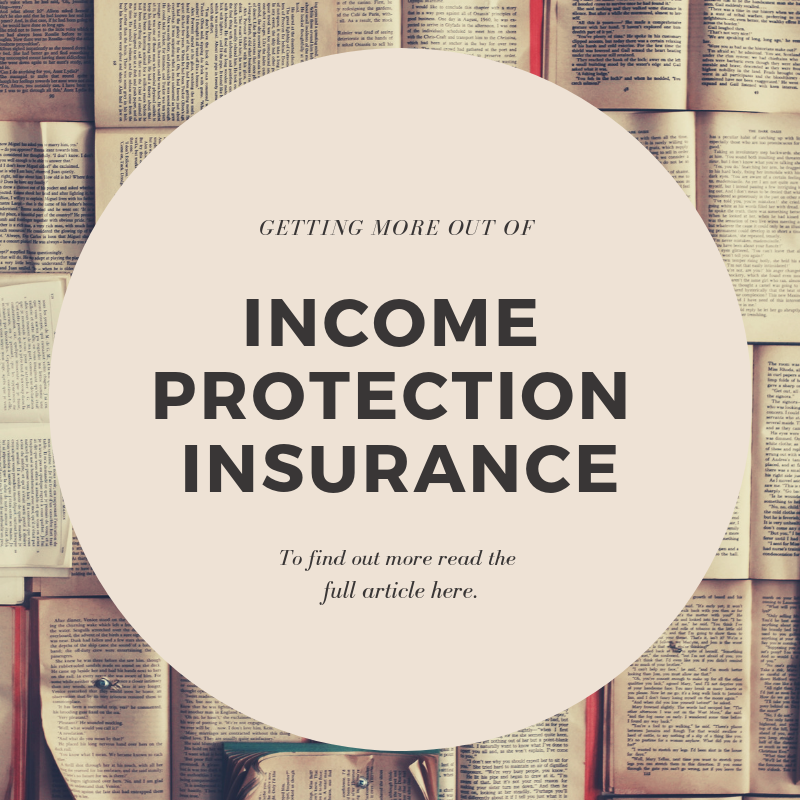 If you’re working and haven’t yet reached the point of financial independence then income protection insurance should be on your radar. 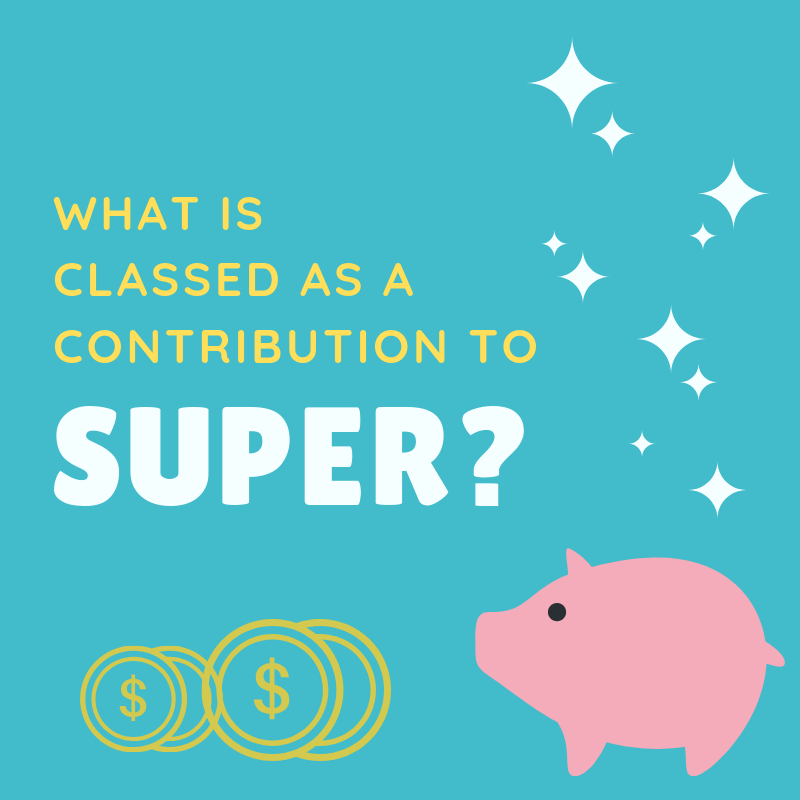 What is classed as a contribution to super? 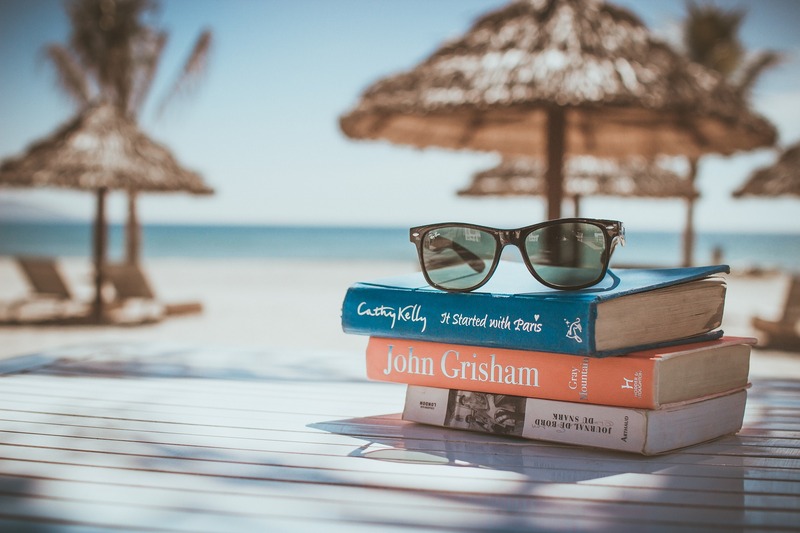 We all want to retire with as much money as possible but there are limits on how much we can contribute into our superannuation funds and if we exceed them it can be painful. 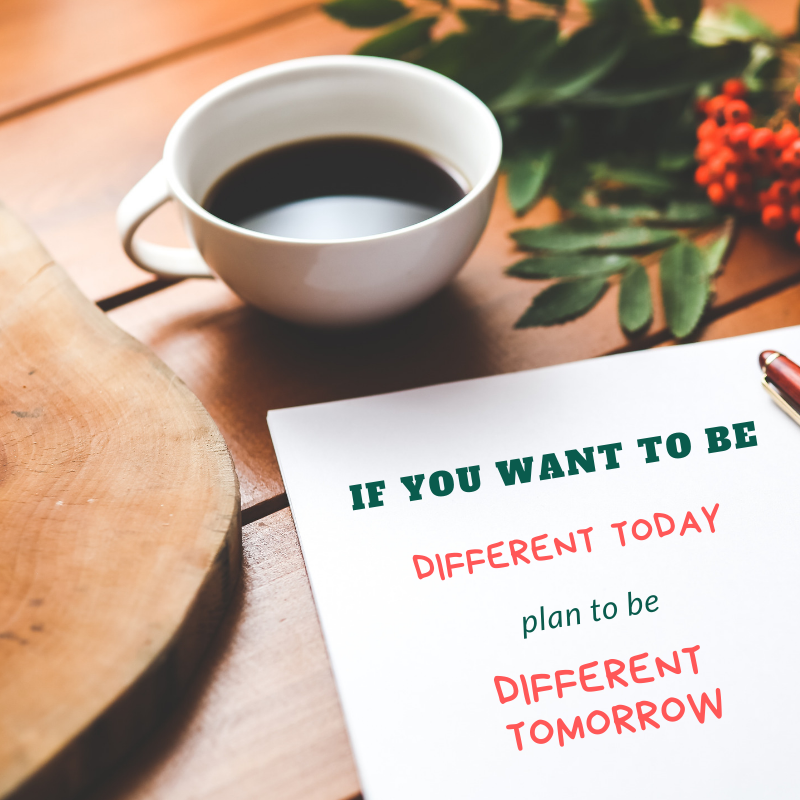 Every generation thinks life will be different – and of course, each one is right - but when it comes to planning for the future, while we’re young we have a habit of thinking there is still plenty of time. 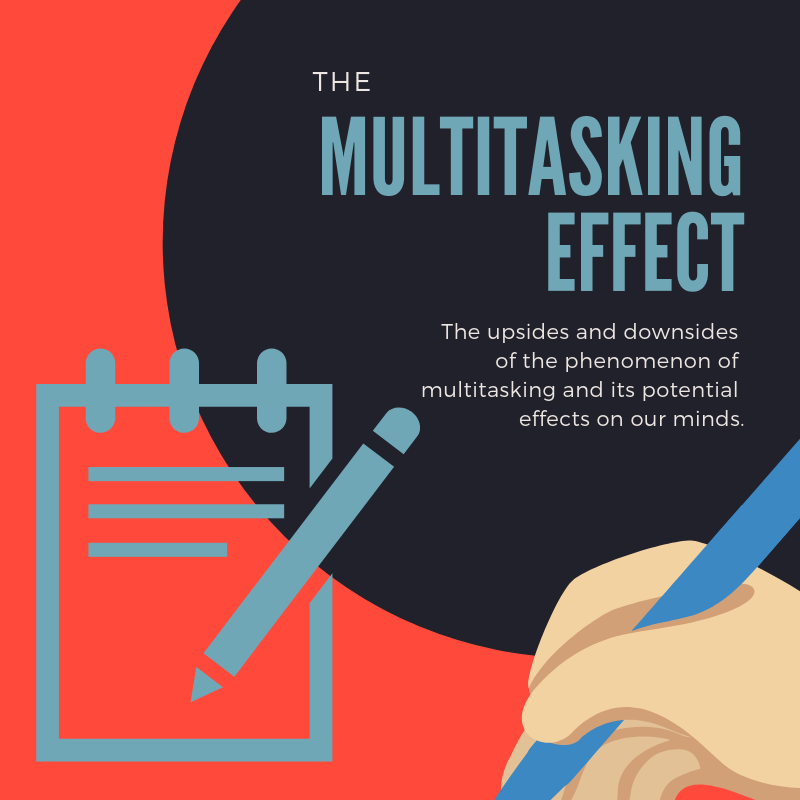 The upsides and downsides of the phenomenon of multitasking and its potential effects on our minds. 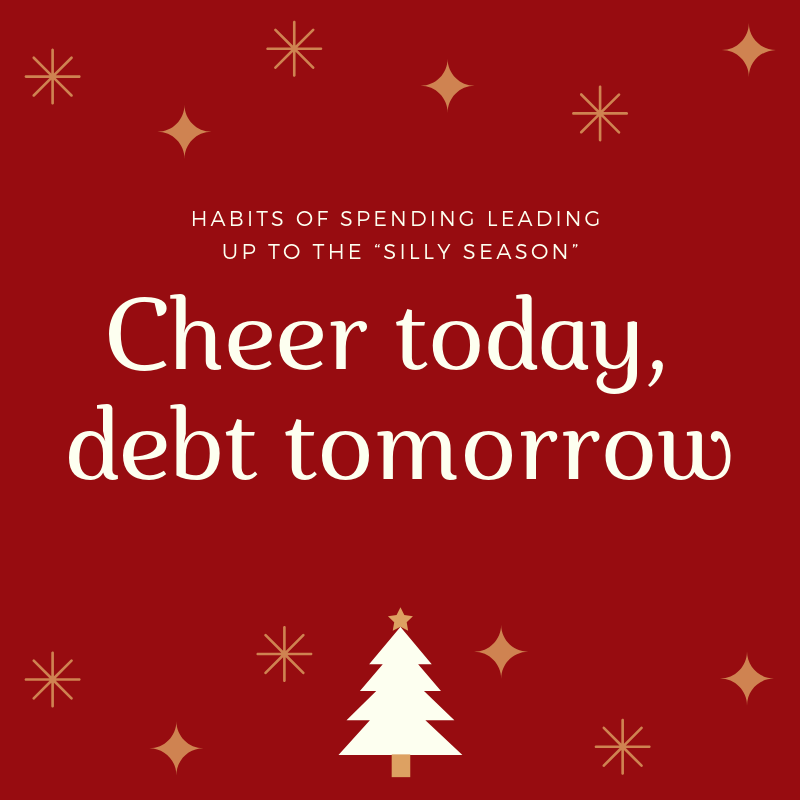 We take a look at some of the habits of spending leading up to the “silly season” and strategies to overcome New Year debt. 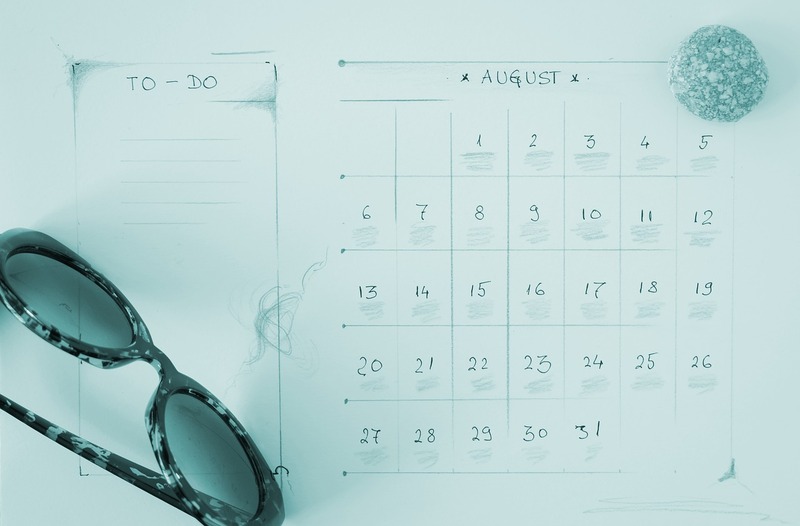 When is a good time to retire? 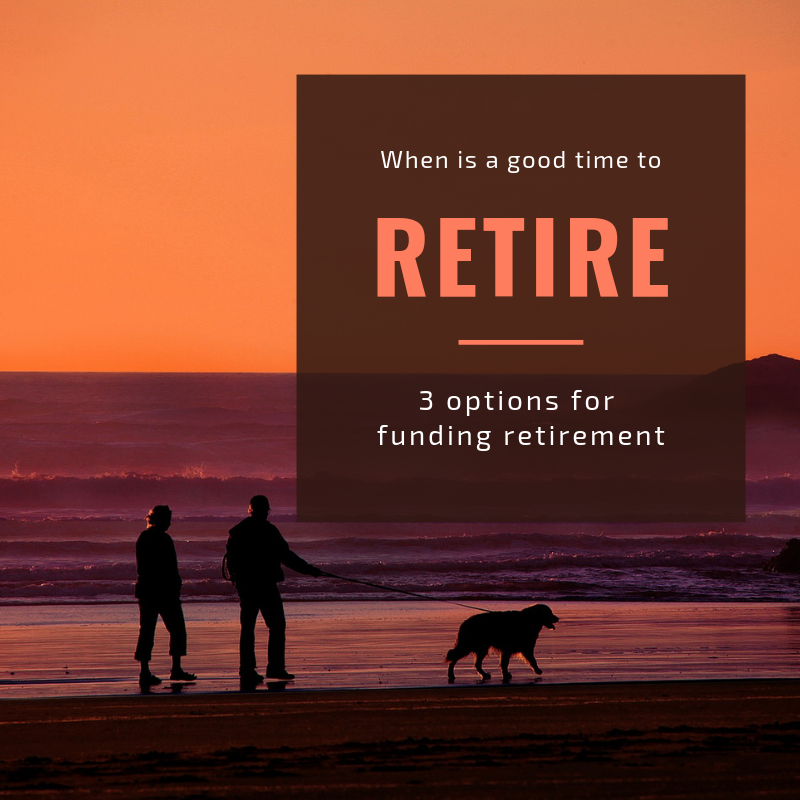 We take a look at the 3 different options for funding "retirement" – age pension, non-super savings and superannuation. 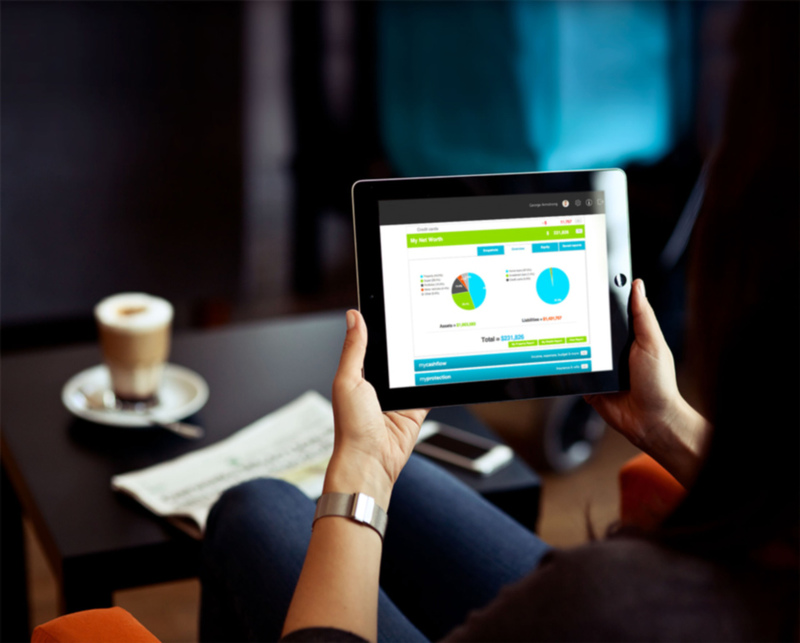 It is commonly reported in the press that Australians are suffering under growing levels of personal debt. 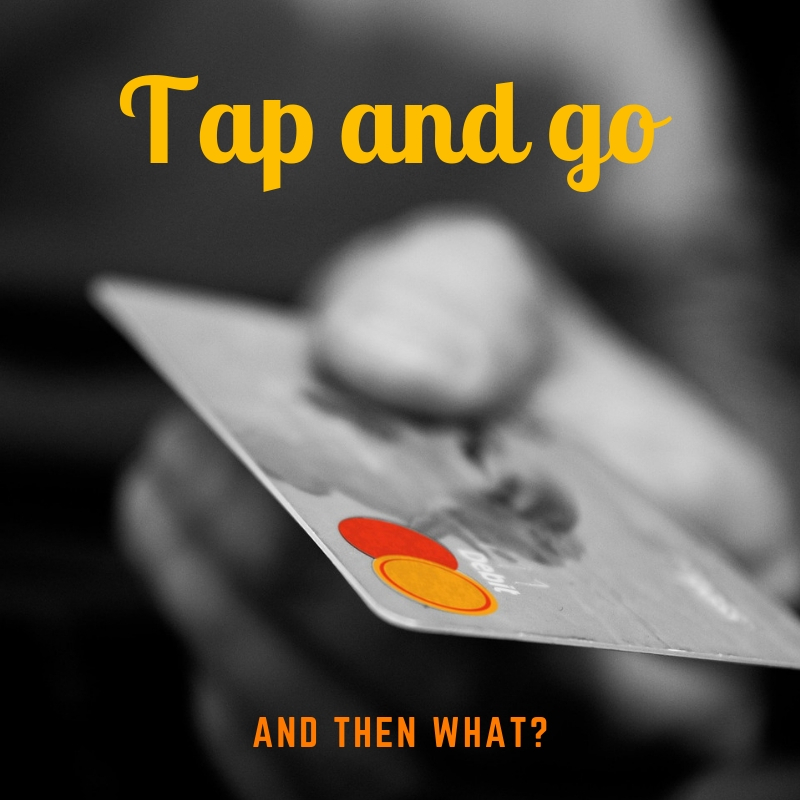 With the growing use of the easy “tap and go” technology it may look like it can only get worse. 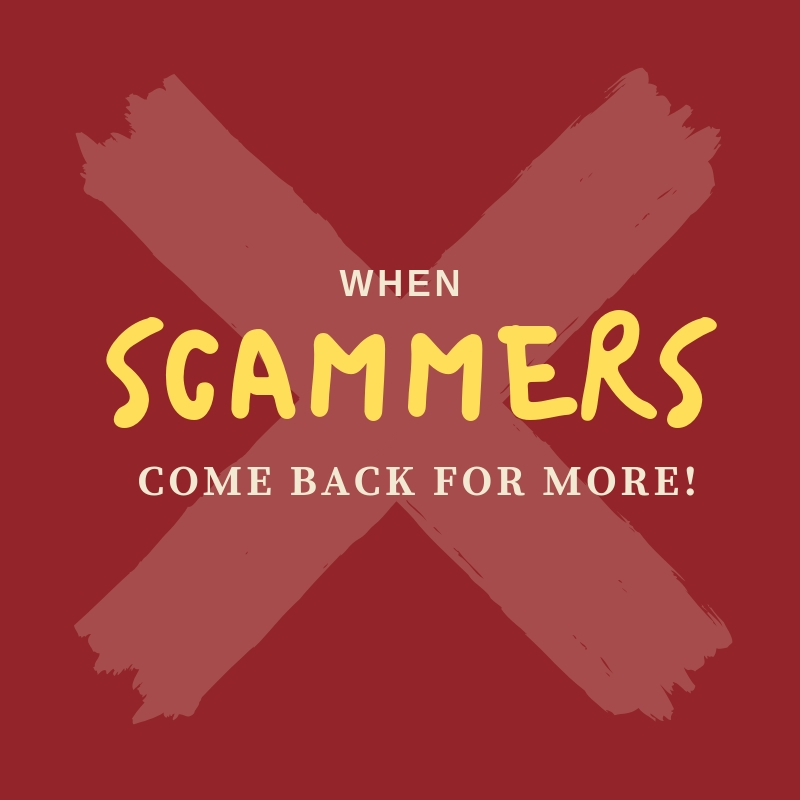 Scams and the numbers of those falling victim to them are increasing. 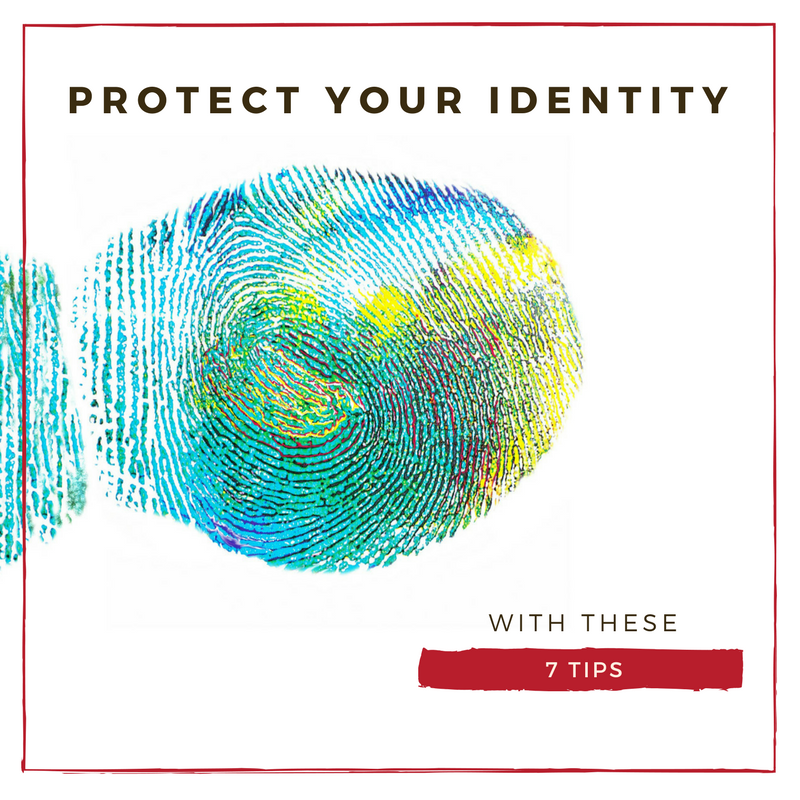 This article explains what to do if targeted and explains another threat – follow-up scams. 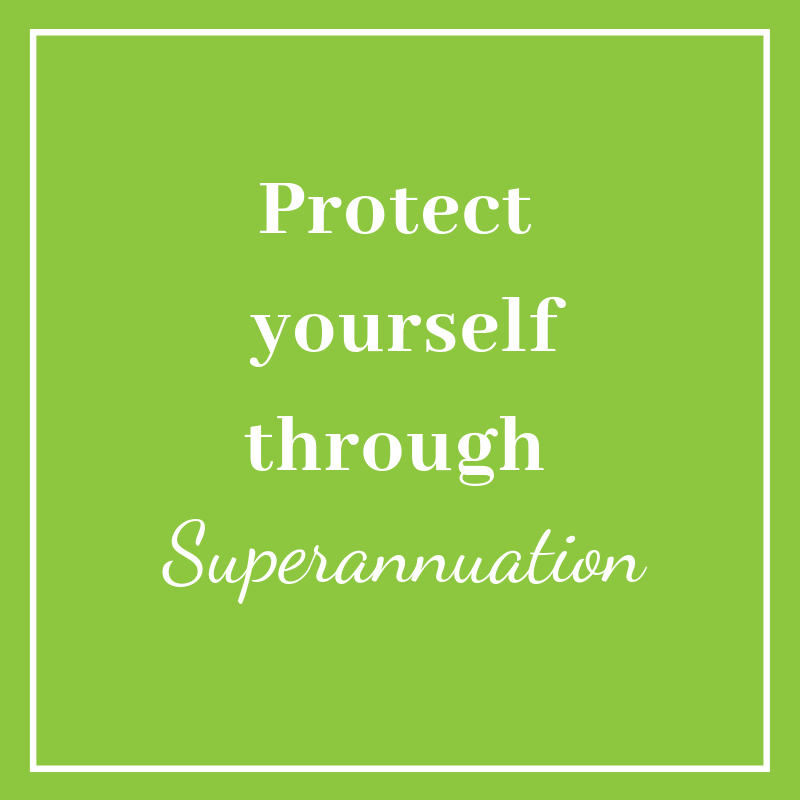 We take a look at the advantages of keeping insurance policies within superannuation. 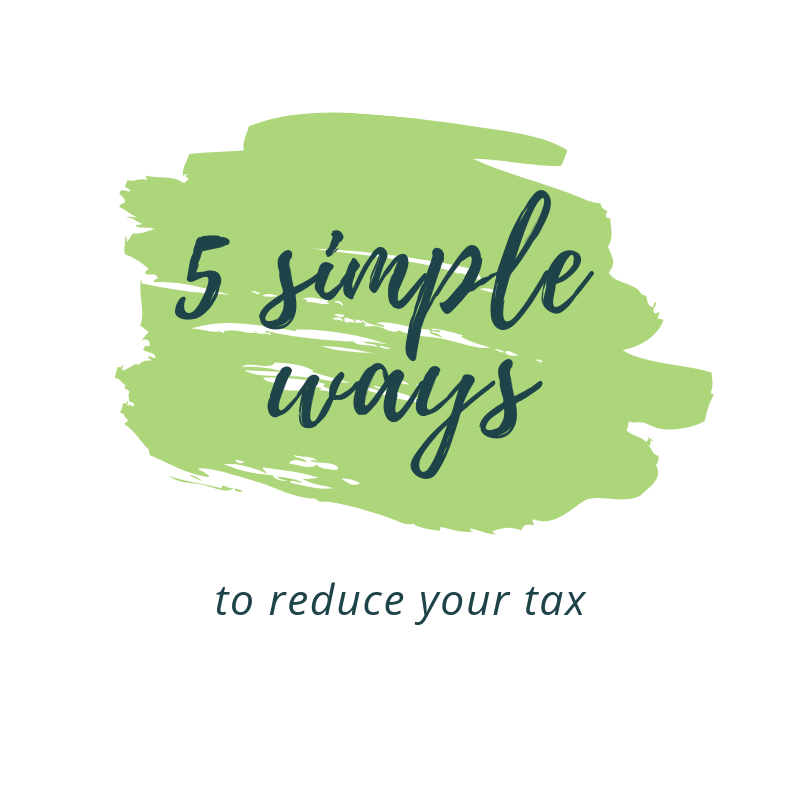 If there is a good chance you will receive a tax refund this year or by being thrifty you have accumulated some extra cash in your everyday account, try to contain the temptation to splurge or celebrate; instead make it work harder for you. 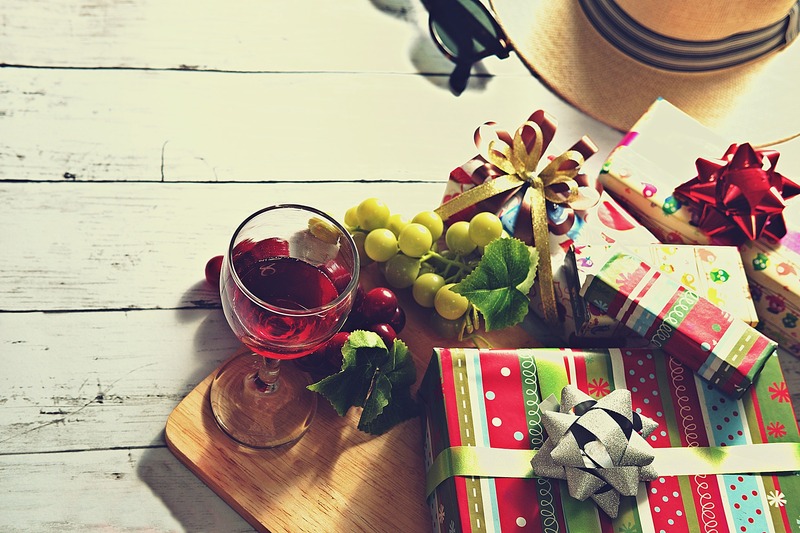 Christmas is a time of giving and receiving, but as we approach this most dangerous time of the year for credit cards we’d like to give you a quick refresher on the best ways to use your plastic so you don’t end up with a Christmas hangover of the financial kind. Have you ever awoken the morning after signing a contract for something and thought “Oh, no! What have I done?” Well, it may not be the end of the world. 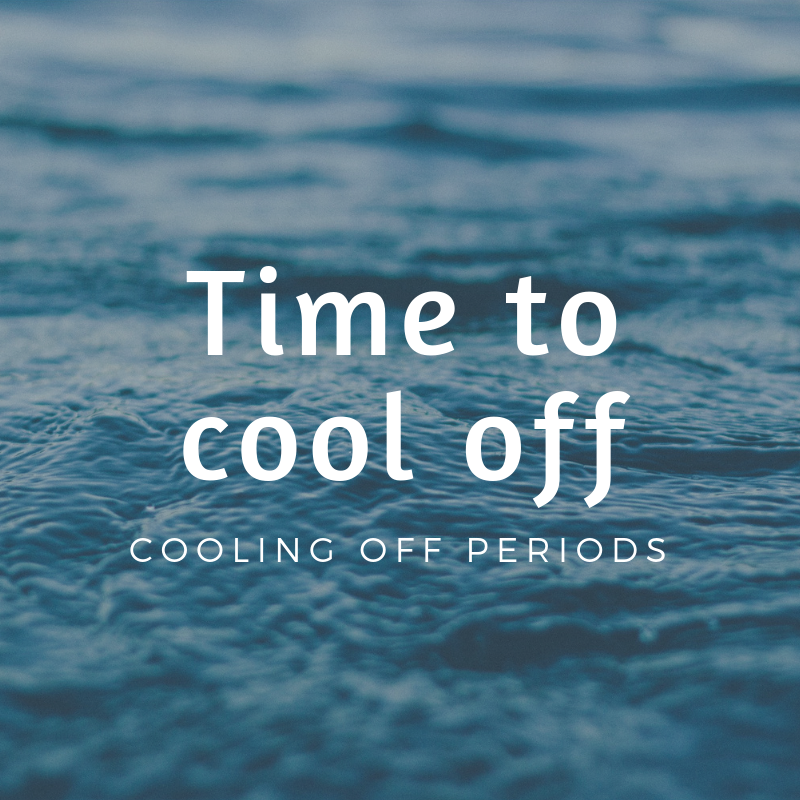 If the contract contains a cooling-off period, you probably have a way out of it. 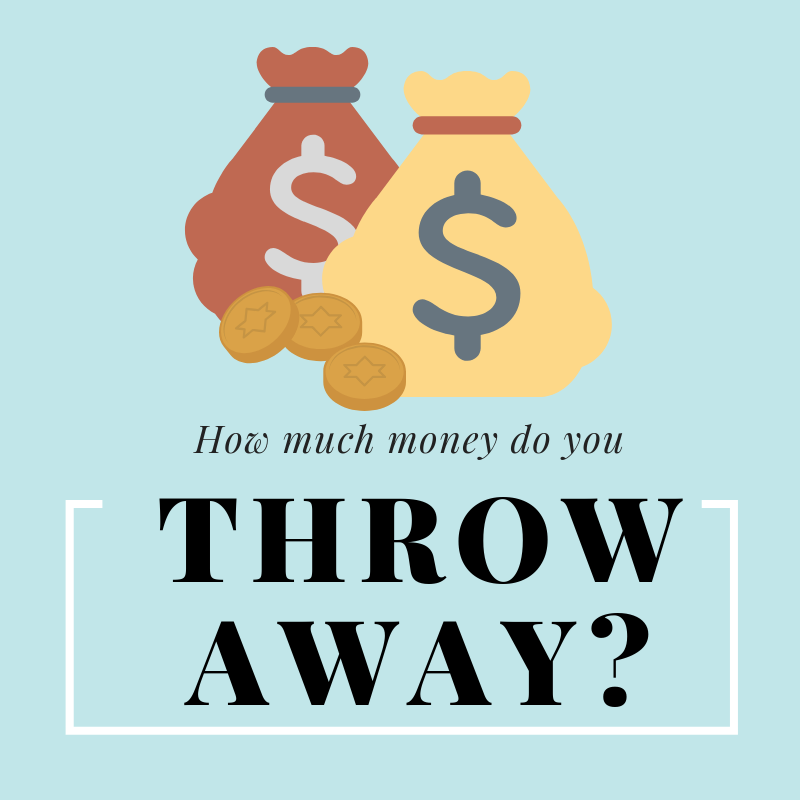 How much money do you throw away? Australians are literally throwing away coins rather than spending or saving them. 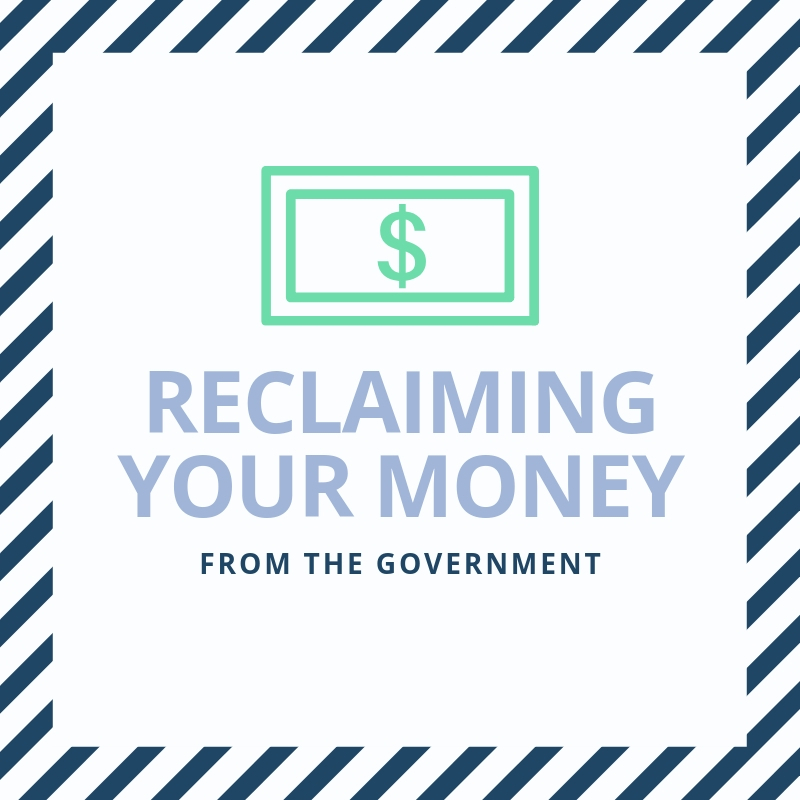 This article highlights this issue and recommends some ideas to reduce wasting money; whether it is as coins or other expensive habits. 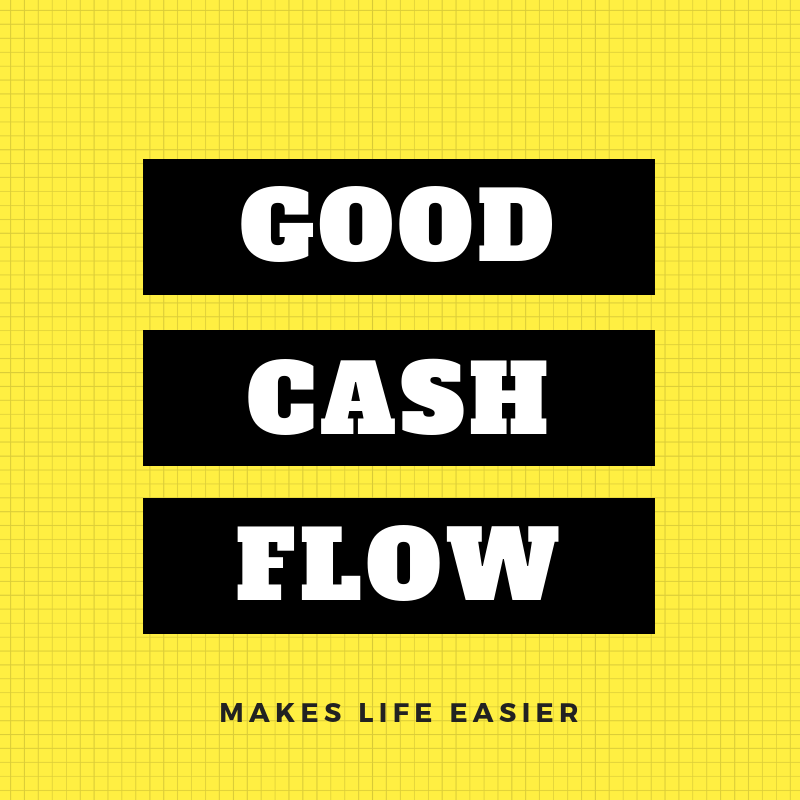 If you rely on your investments for income, an important aspect of managing your portfolio is cash flow. 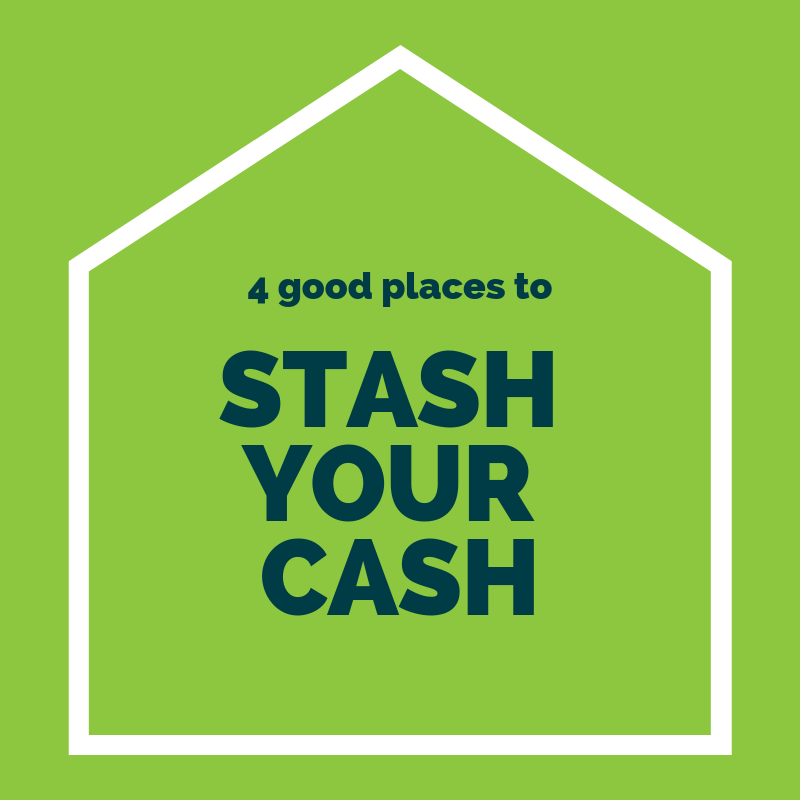 Correctly structured cash flow is critical, so let’s have a look at what you might need to think about. 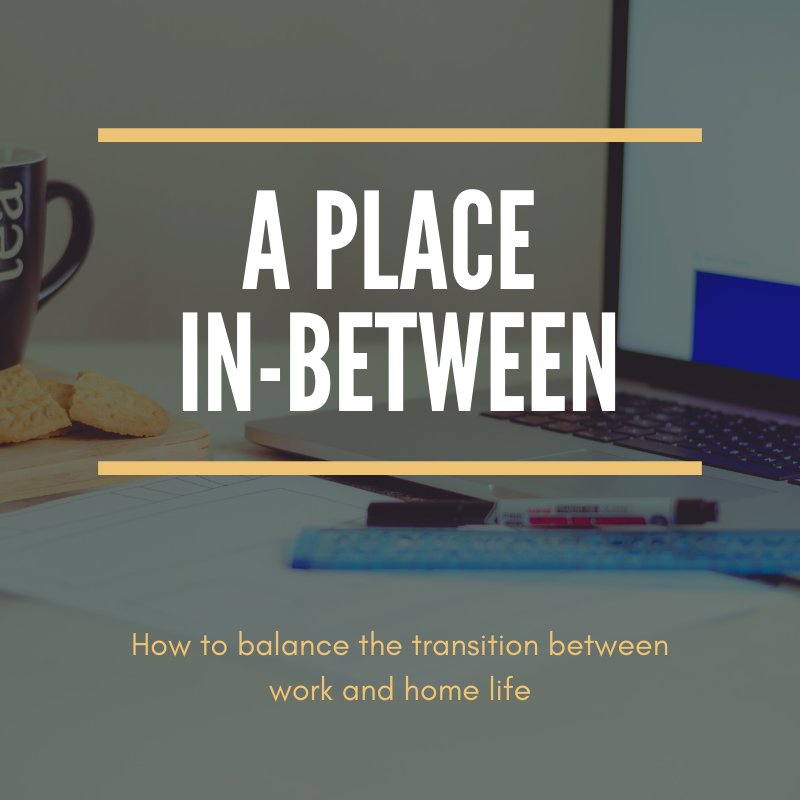 Not sure how to balance the transition between work and home life? Read the article below to find out more. 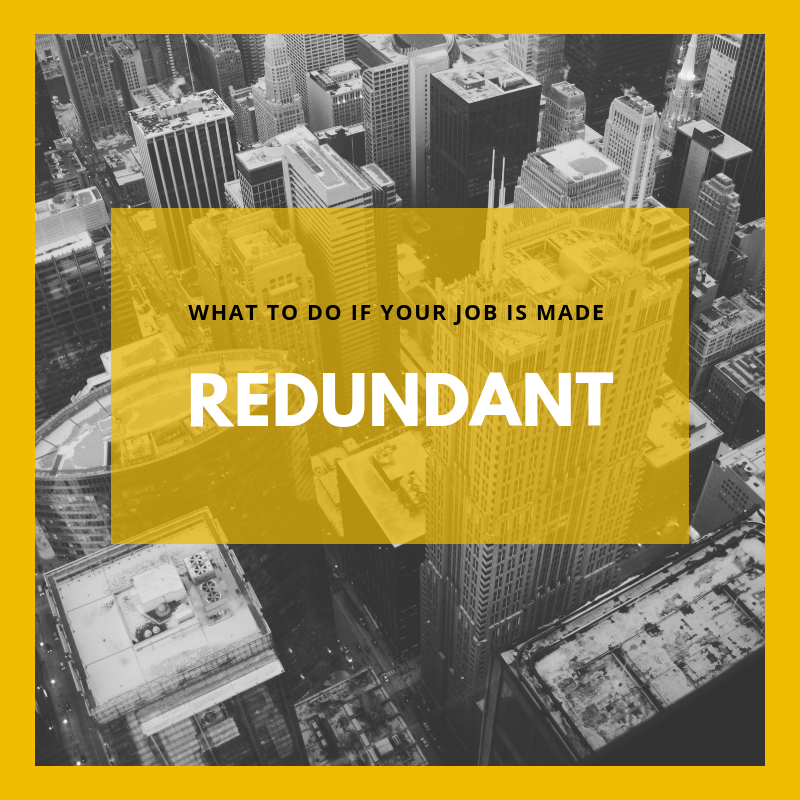 Being retrenched from your job can be hard to accept. 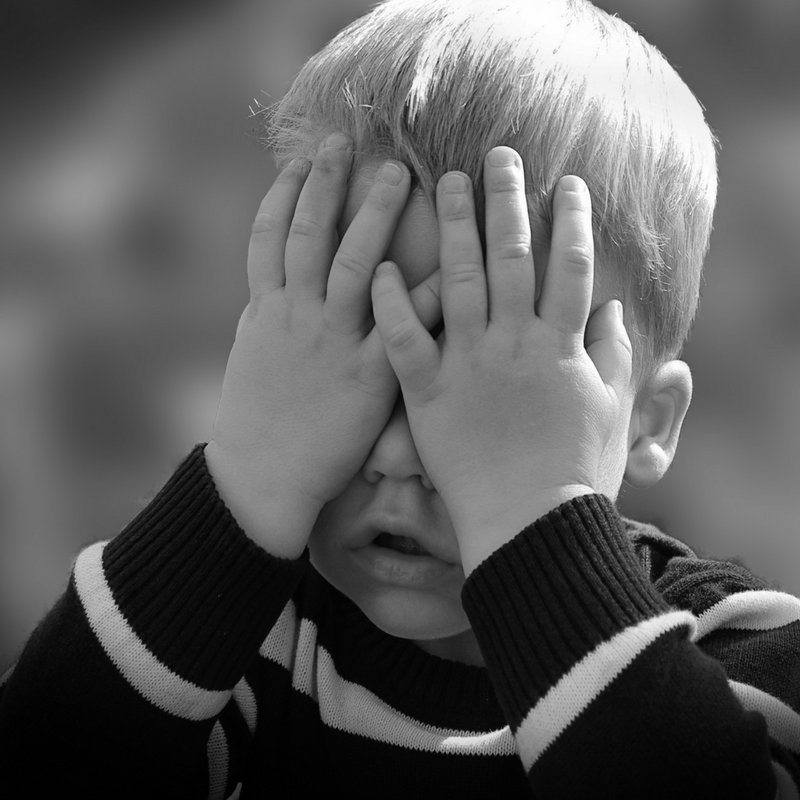 It is the sudden shock that catches most people but try not to take it personally. Discussed in the article is what to do about mortgages, Centrelink entitlements, how best to deal with a redundancy payment. 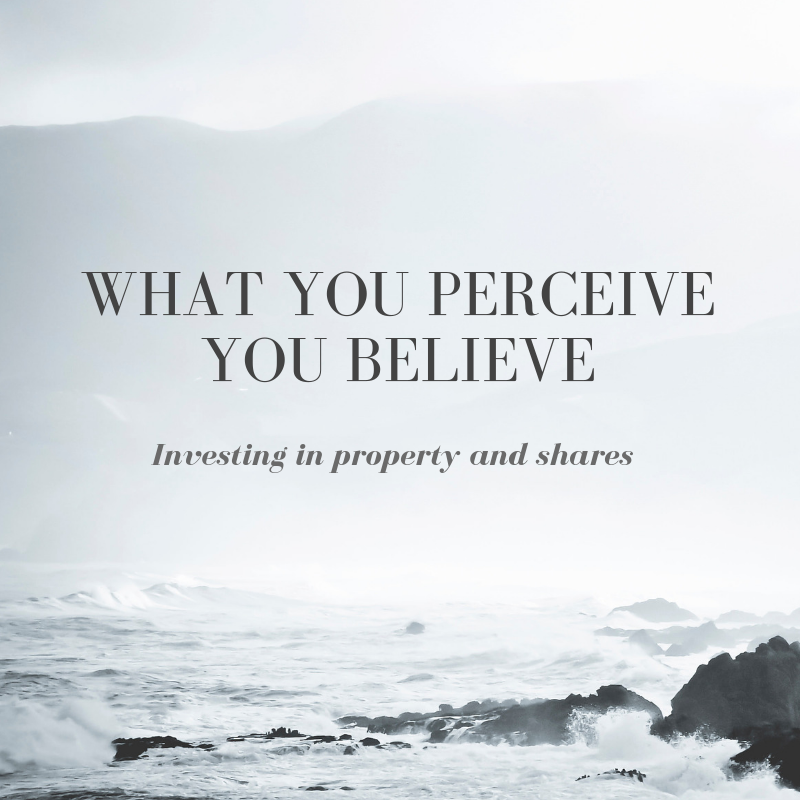 When it comes to choosing to invest in property and shares, many issues are the same. 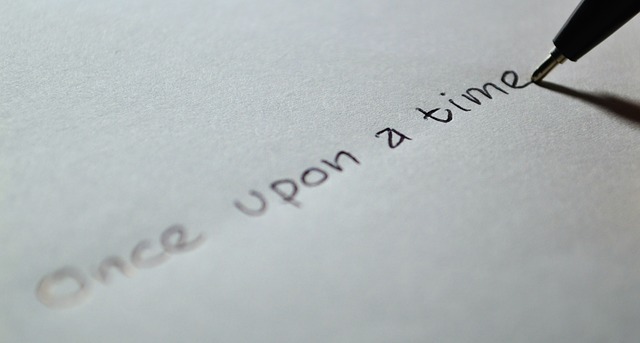 Read this short article for more information. 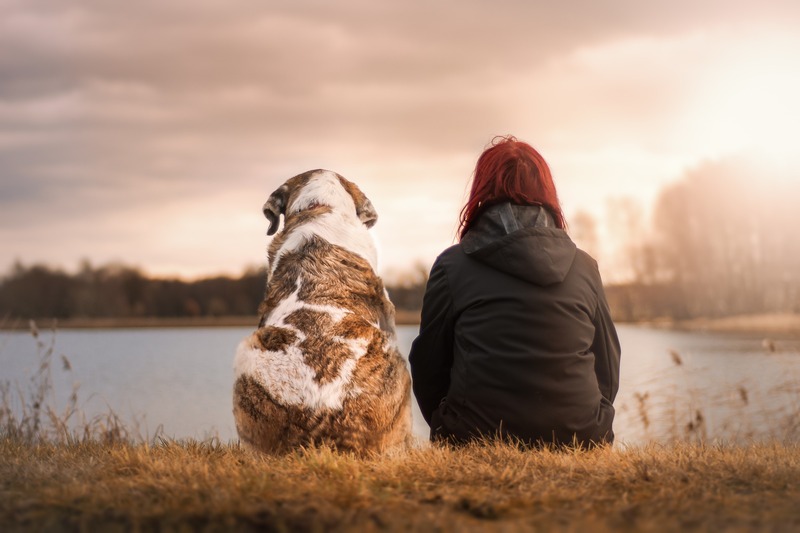 Welcoming a new family member is exciting but with so many aspects of your life changing, when it comes to your finances some forward planning can make the transition so much easier. 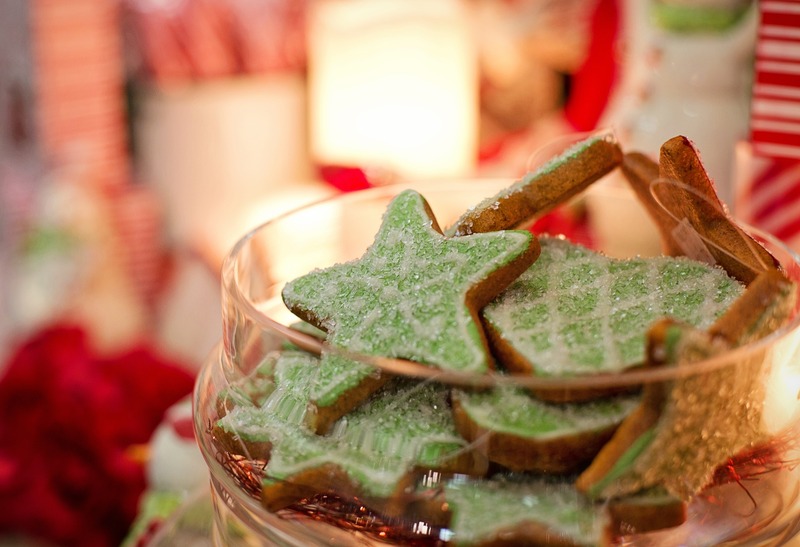 The stress involved in organising and preparing Christmas meals, buying gifts or arranging a Christmas party can have the opposite effect to what most of us would like to achieve at this time of year. 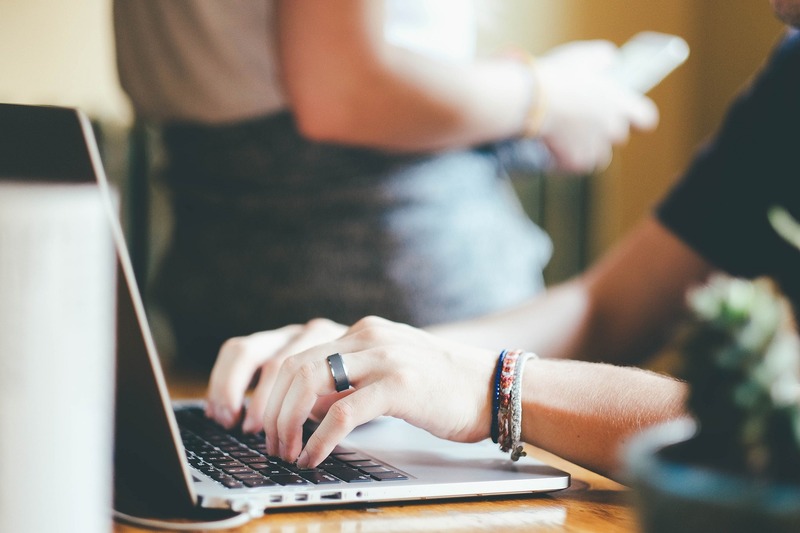 Working from home – is it better for your lifestyle? 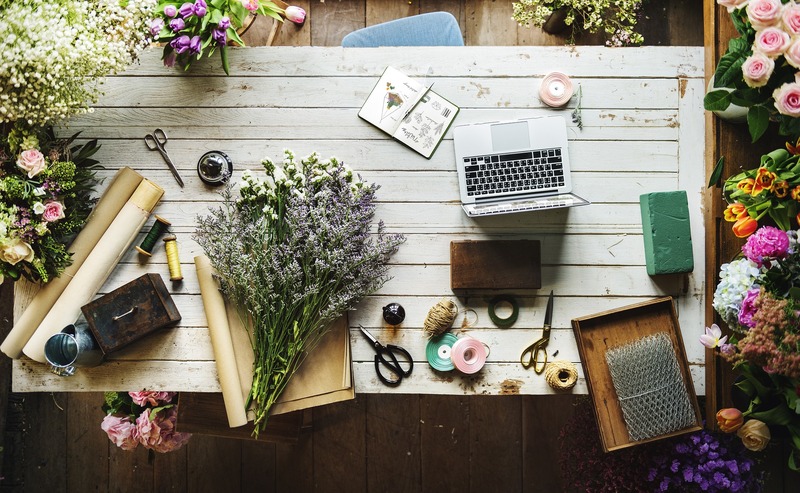 The increase in home-based businesses has been monumental in the past decade with now almost one million Australians earning an income from home. 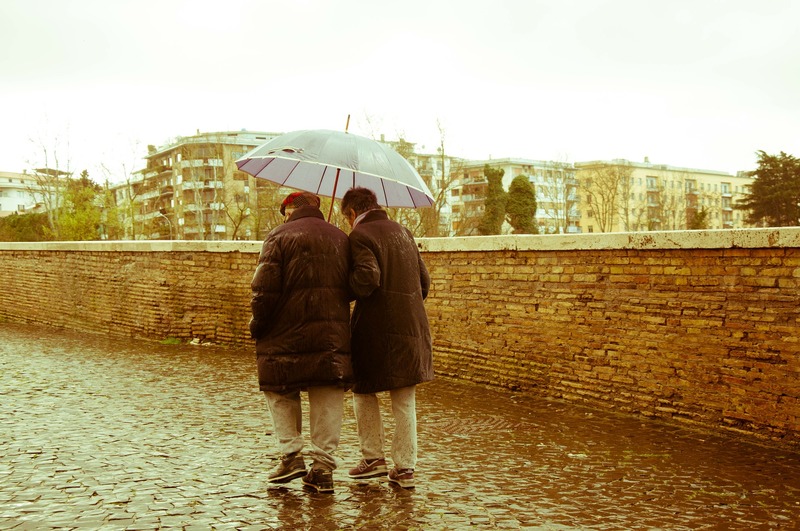 Older people tend to be very private around subjects like their finances, estate planning and aged care, etc. This article provides information around what you should be discussing with an elderly relative, and how to open a two-way conversation that puts everyone’s mind at rest. 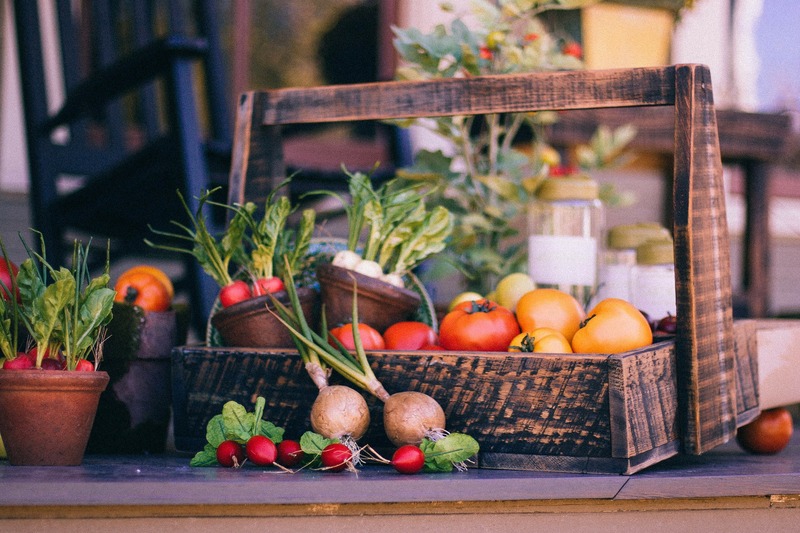 As we approach Christmas, the season most celebrated with food and beverages, it’s a good time to take stock of just how much we spend, and subsequently waste, on food throughout the year. 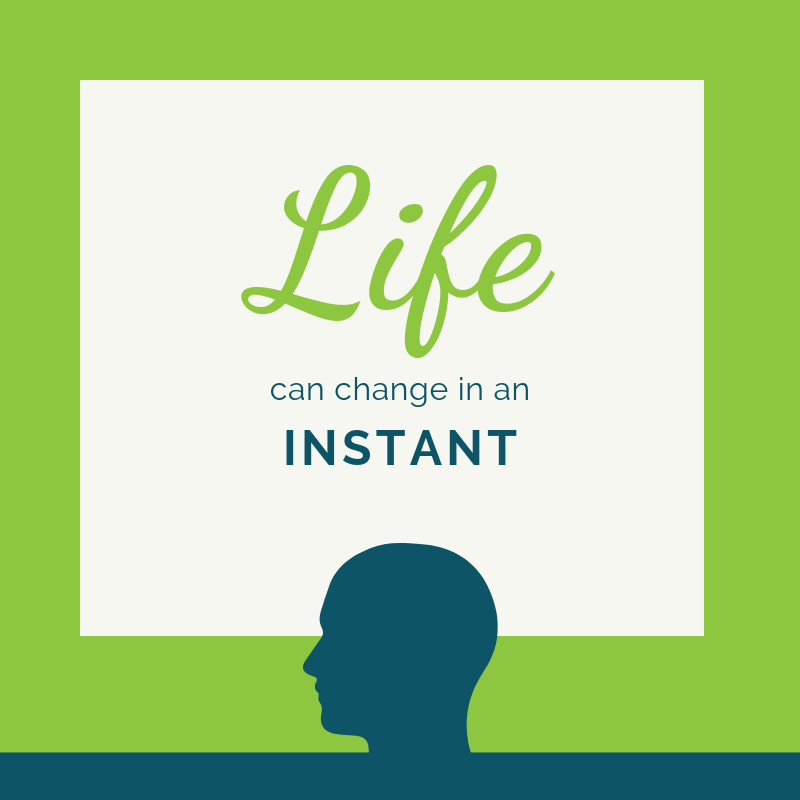 It’s an old saying but it will be forever true – “the only constant in life is change”. Whether it’s due to economic downturns, new technology or extreme weather disasters; no business, job or career will ever stay the same. Long-term savings plan, online savings accounts and fixed term deposits will not generate much growth. Managed funds, can have a higher potential to surpass cash and fixed term investments. 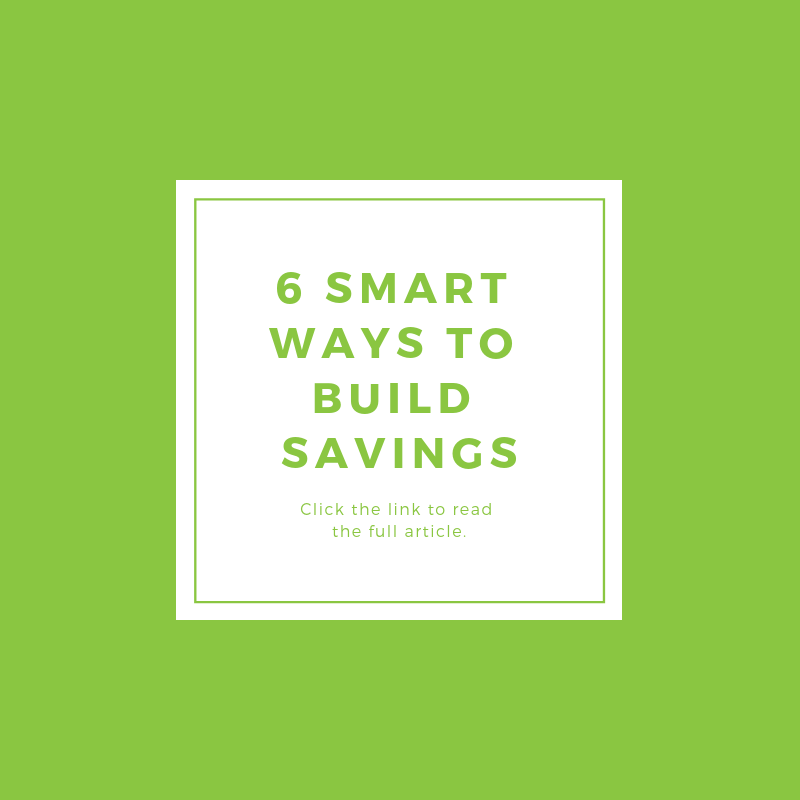 Here are six simple tips to build up your savings. 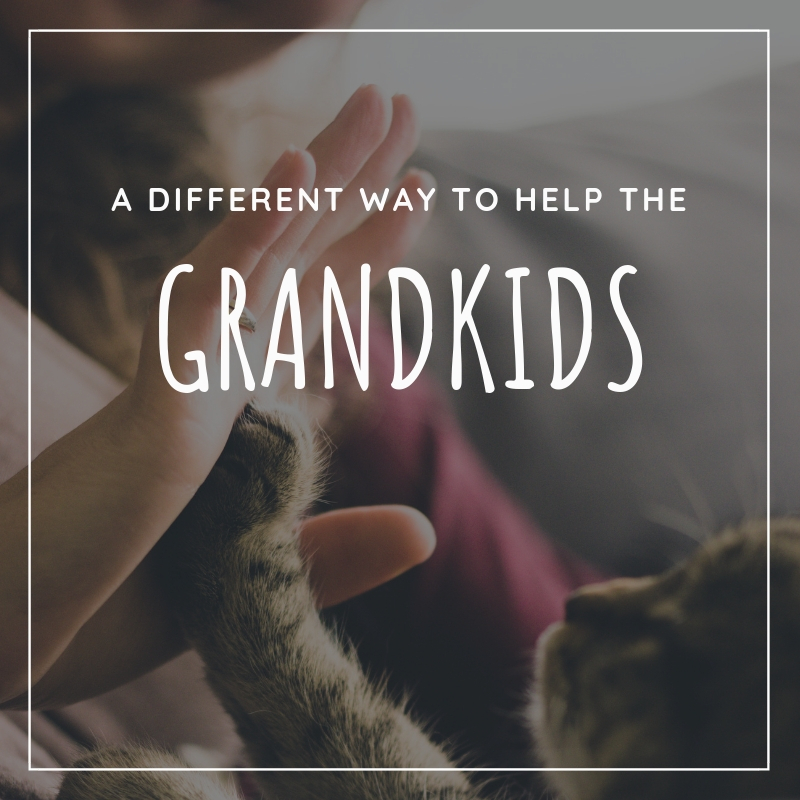 Many grandparents want to give their grandchildren a head start in life, either contributing towards their school fees or setting aside funds in an account. These are just some options, but there might be a better one. 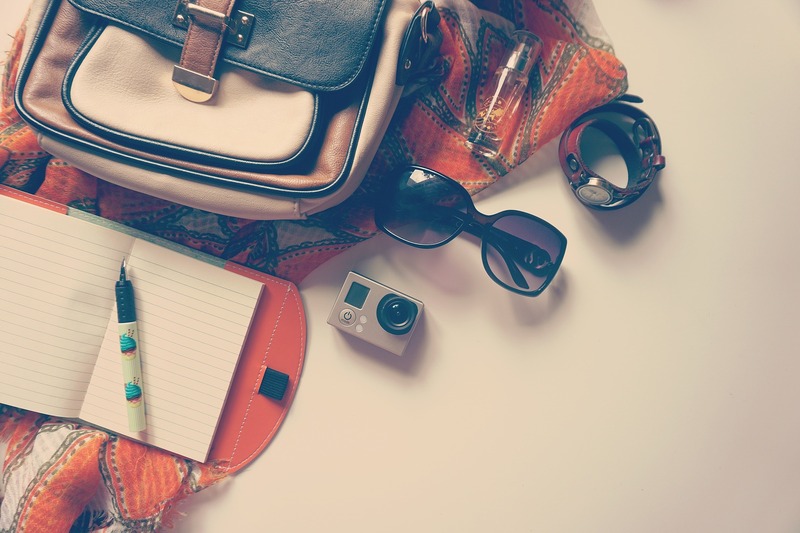 You don’t want to miss great opportunities while you’re away but then again you don’t want to face a mammoth credit card bill upon your return. 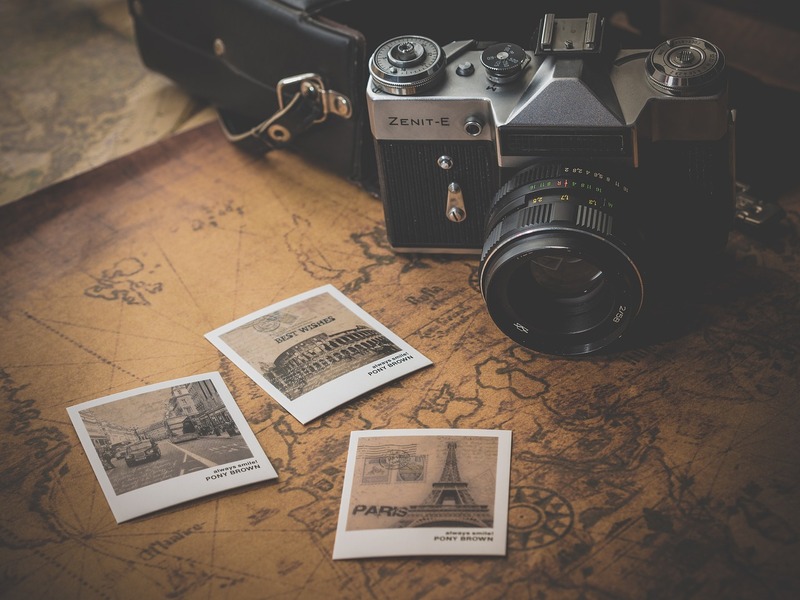 Here are a few ideas to help make your dollar go further while abroad. 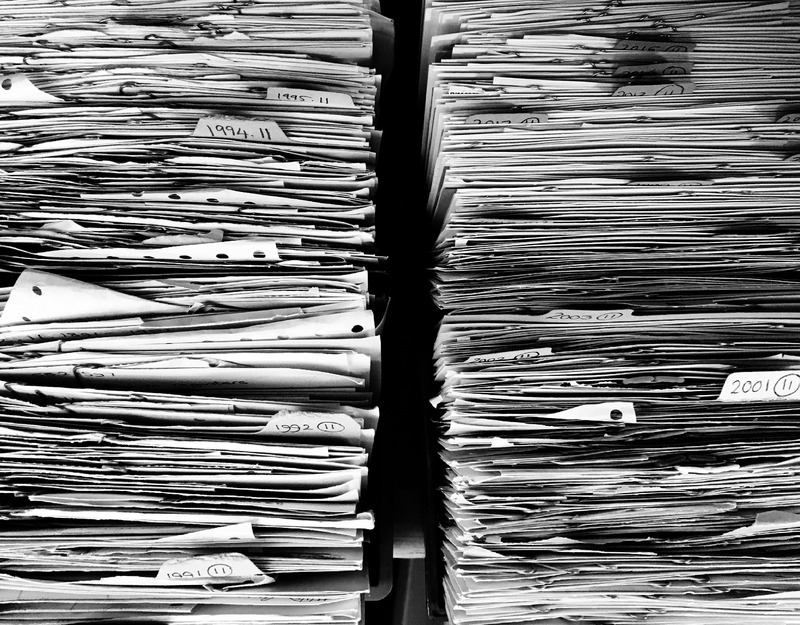 Would you like to minimise the amount of tax you pay? Then check out these tips. We are constantly hearing reports about the rise of personal fraud in Australia, but have you ever looked at the figures? Going to university should be a time of excitement, learning and independence. 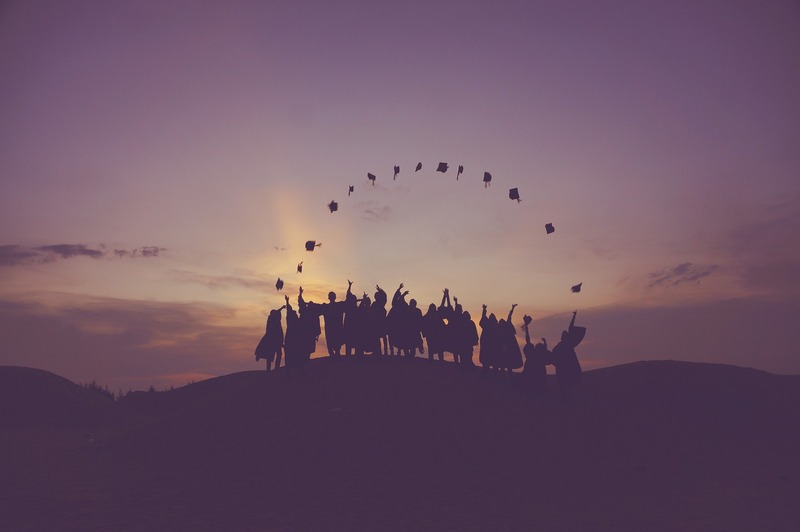 For too many students, money problems get in the way leaving them financially burdened for years to come. 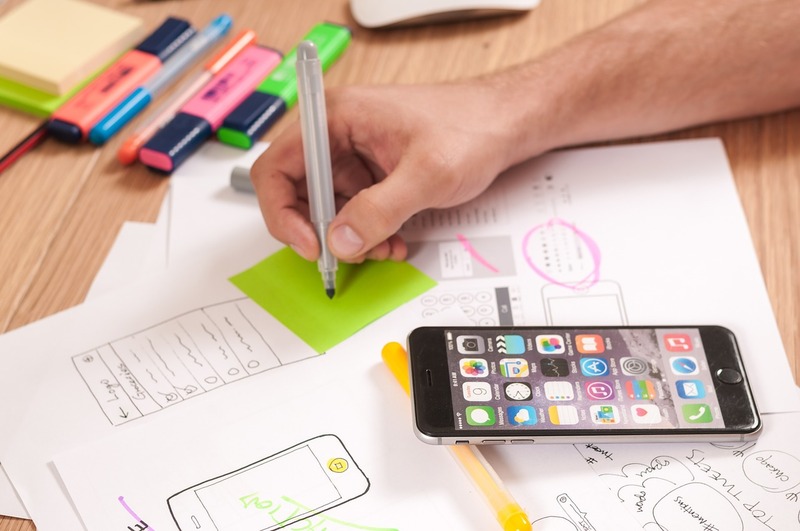 This article explores suggestions for planning and budgeting that can be the difference between getting by and getting ahead. 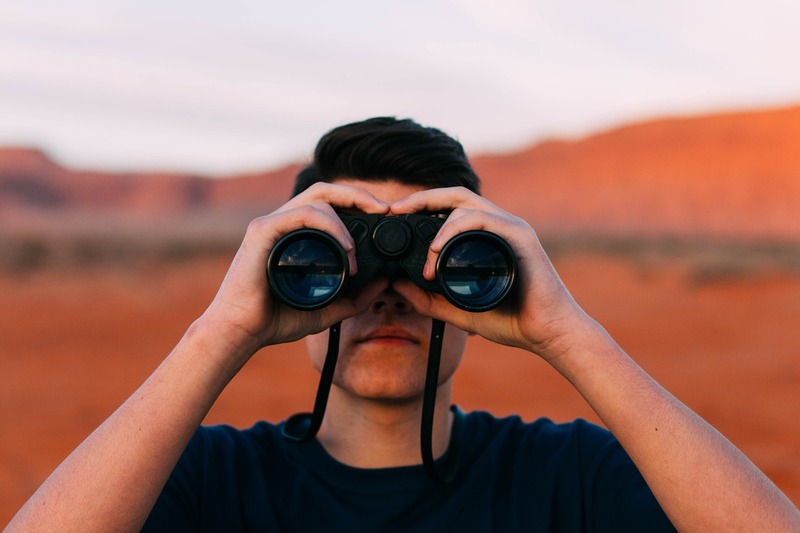 Superannuation funds allow members a level of choice in relation to how the money is invested, which means it can be up to you to create what your retirement adventure might look like. Many young people in the X and Y Generations are earning excellent incomes but have little savings, excessive debt and consider the future too distant to be of concern. 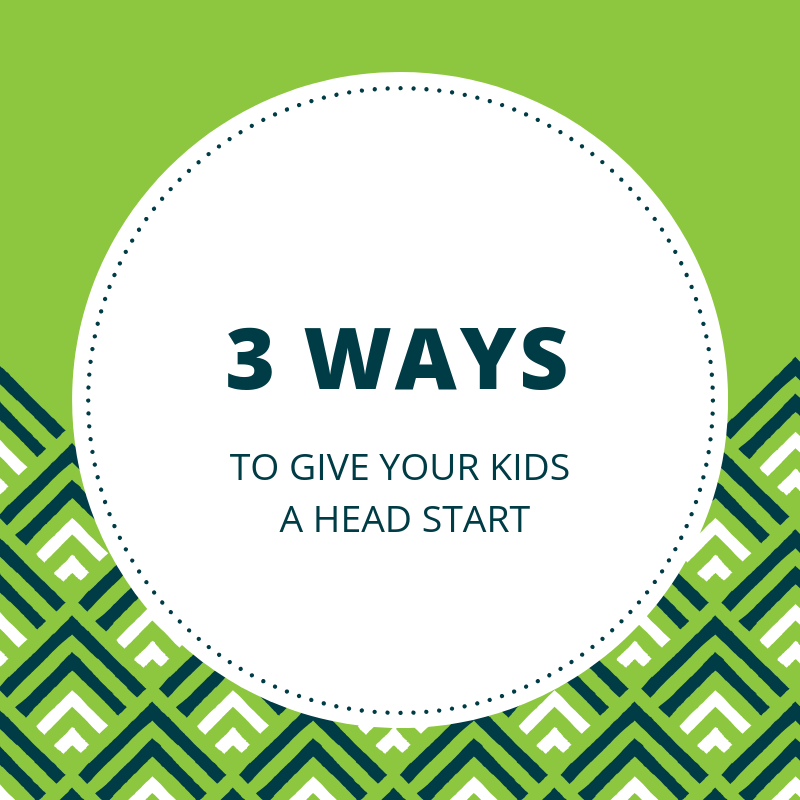 We explore how to give your kids a head start from a few different angles, depending on how you wish to help them. Owning a business has its distinct advantages. 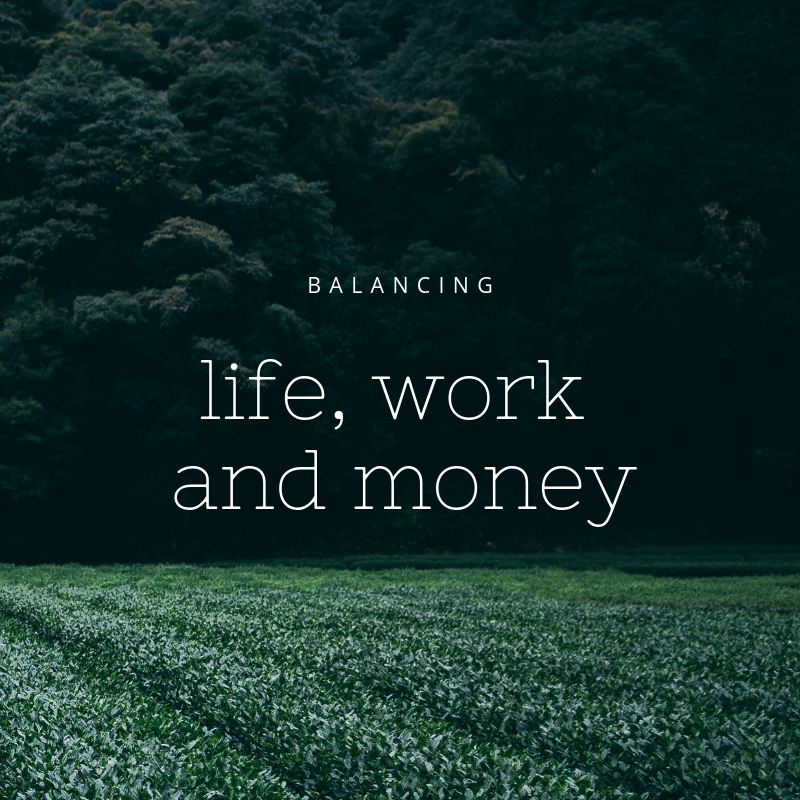 Choosing your work hours and being able to make decisions for your own future are just two, but this higher level of freedom takes a back seat when things go wrong… and as any business owner knows, things can and do go wrong just like in any other pursuit in life. 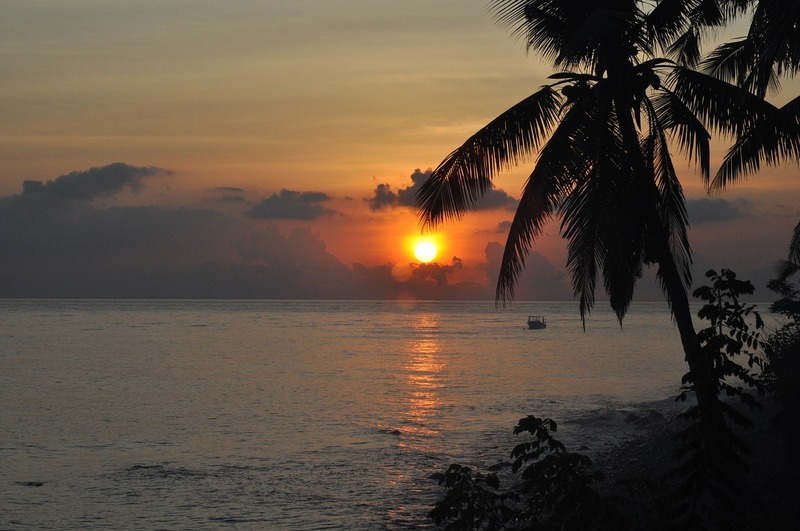 The pictures are enticing: ocean blues and hibiscus pinks; white beaches; nightclubs. For twenty-somethings, tropical holidays are rites of passage few can resist; fewer still can afford them – even if we think we can. 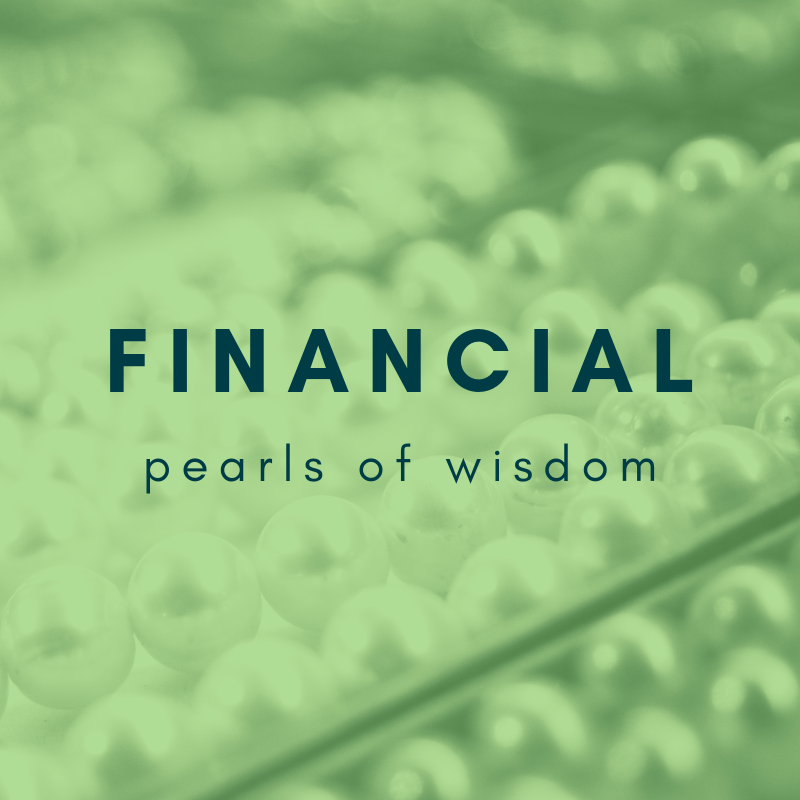 Imagine you were no longer able to look after your financial affairs, or, less dramatically, simply found it an increasing burden to manage your money. How easy would it be for a trusted family member to step in and help you? 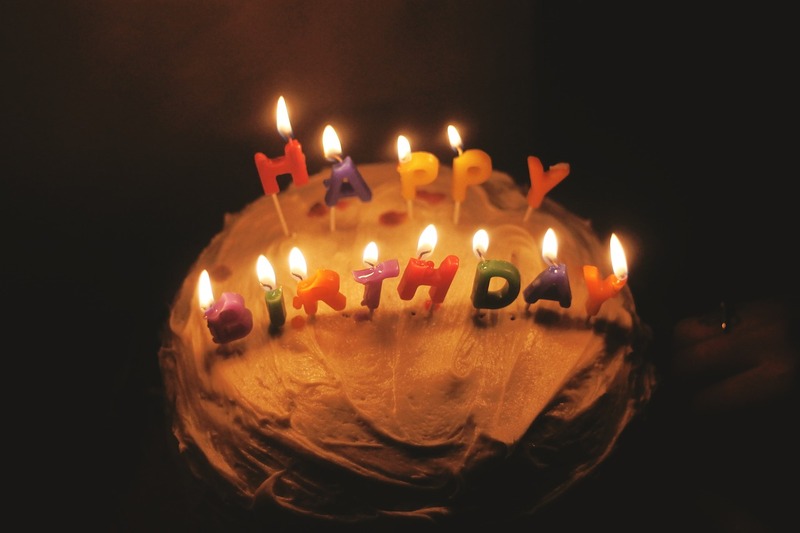 Whatever the goal, reaching age 30 is a turning point for many of us. 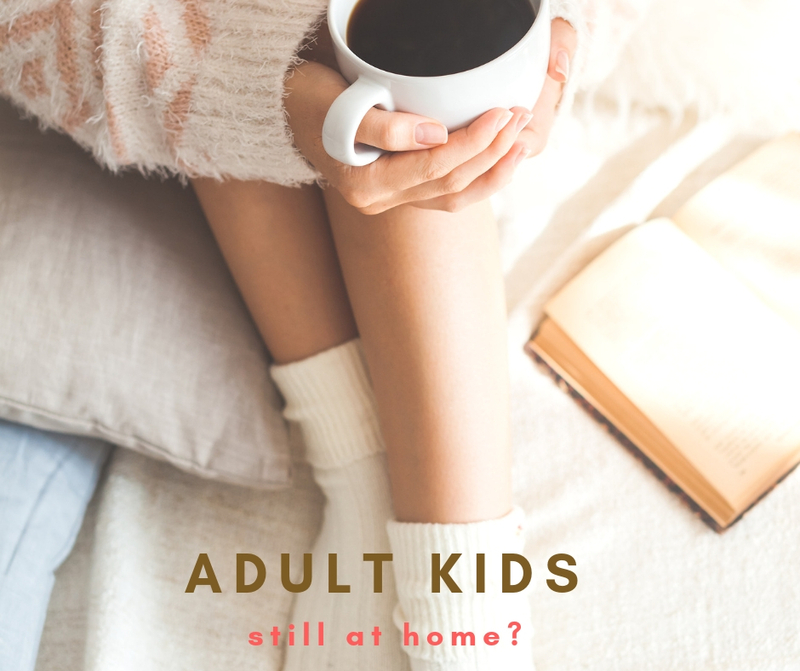 Whilst it may mean life is getting more serious, by the time we’re in our 30's we’re keen to retain our individuality and remain determined to have fun. 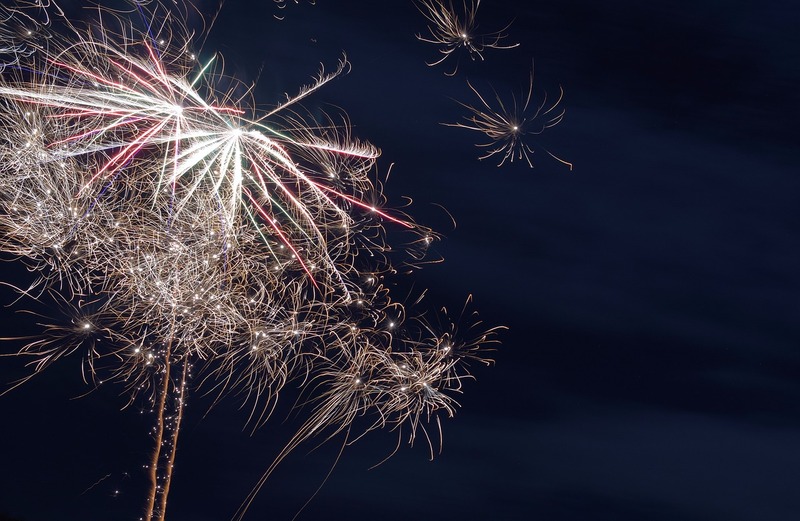 With a little planning you can make this new decade even more enjoyable. 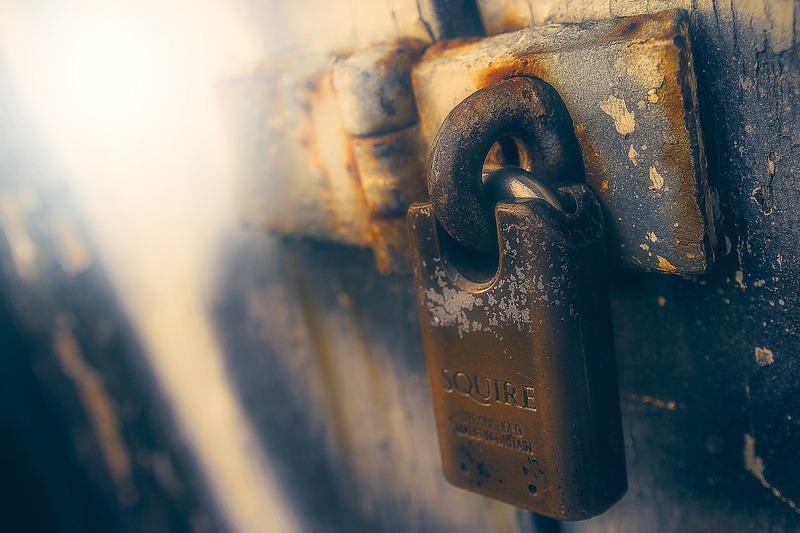 Whether it’s due to over-enthusiastic lenders or desperate borrowers, failure to adhere to robust lending standards can land some borrowers in serious financial distress. In many cases the difficulties experienced by these borrowers could have been avoided if the lenders had complied with their responsible lending obligations. 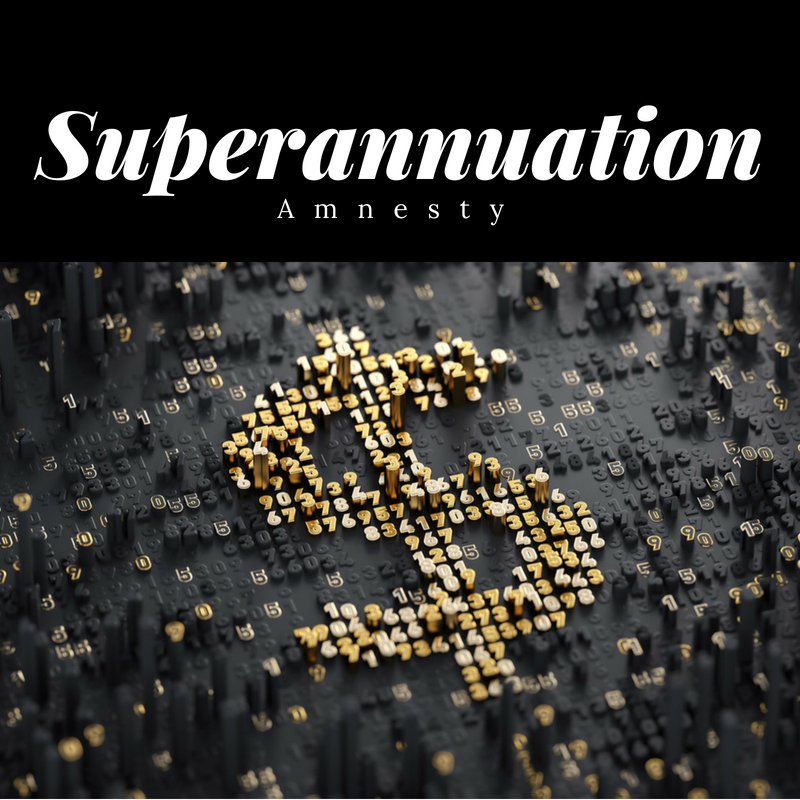 The government has announced that it is introducing a one-off, 12 month amnesty for historical underpayment of super guarantee. 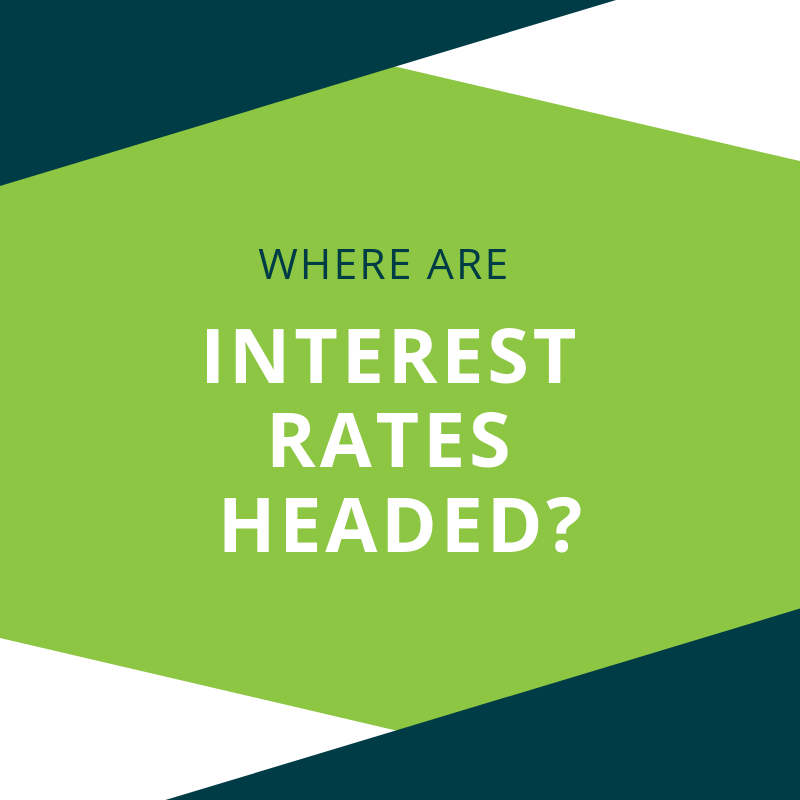 Many investors fear the impact of a return to interest rates of 5%, 6% or even 7%pa that were considered normal just a few years ago. They worry about the impact on share and property markets, they worry about locking fixed rate term deposits and annuities and missing out on the big rate rises to come. In early June, for the 20th consecutive month, the Reserve Bank left interest rates on hold. 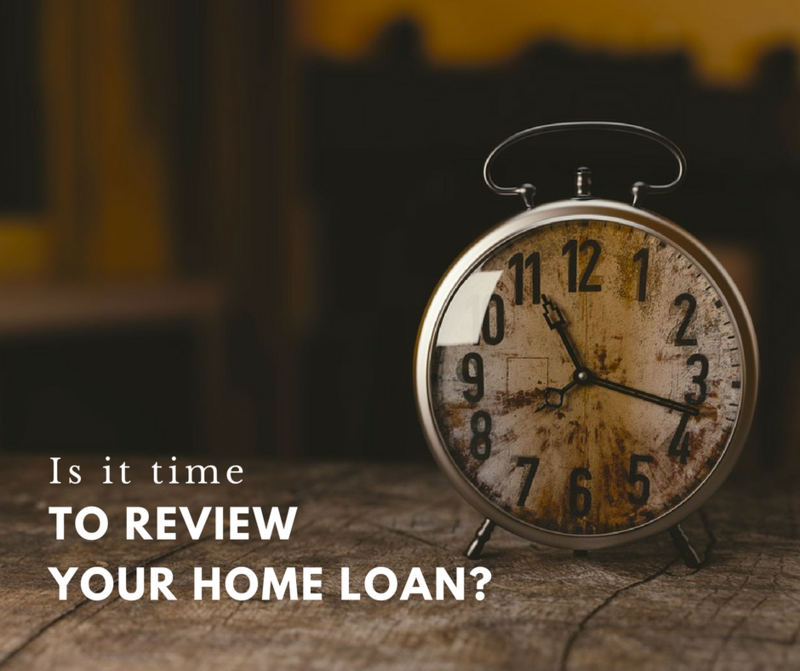 That doesn’t mean you shouldn’t be reviewing your existing loans, or exploring investment opportunities. More often that not, there’s a better deal available, and we all know any saving is better in your pocket than the bank’s! 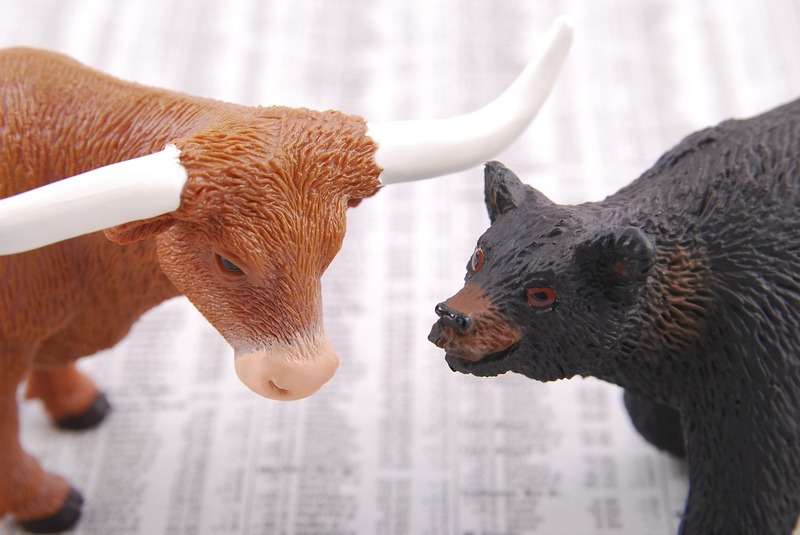 What is a market index and how might it affect your investments? Investors who pay attention to the finance segment of the daily news may be gazing in awe at the performance of the US share market. Even taking into account the fall in early February, the Dow Jones Industrial Average has astounded veteran commentators worldwide with its monumental growth over the last 12 months. Meanwhile, the Australian All Ordinaries Index has yet to return to the height it enjoyed before the Global Financial Crisis at 6779.1 points. 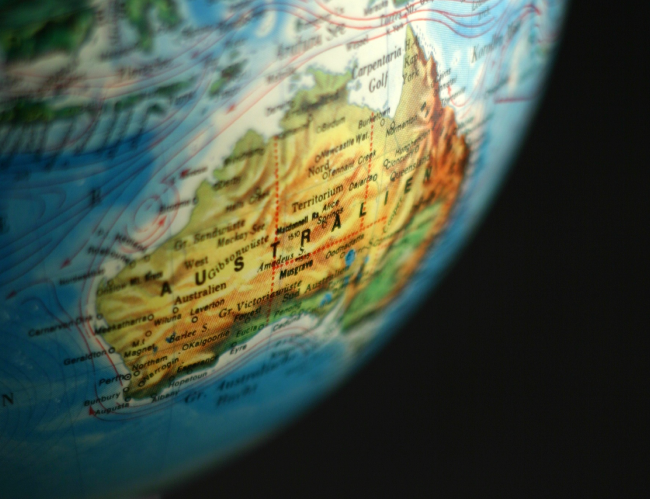 For most Australians, their 60s is the decade that marks retirement. For some this means a graceful slide into a fulfilling life of leisure, enjoying the fruits of a lifetime of hard work. However, for many it means a substantial drop in income and living standards. So how can you make the most of the last few years of work before taking that big step into retirement? How did the media get it so wrong? In 2017 the paid professional media that we rely so heavily on for our daily dose of "news" was adamant in many headlined articles that Melbourne was going to be in a massive property oversupply situation, causing a jump in rental vacancies and a huge price crash. Want to give away your assets? There are rules. 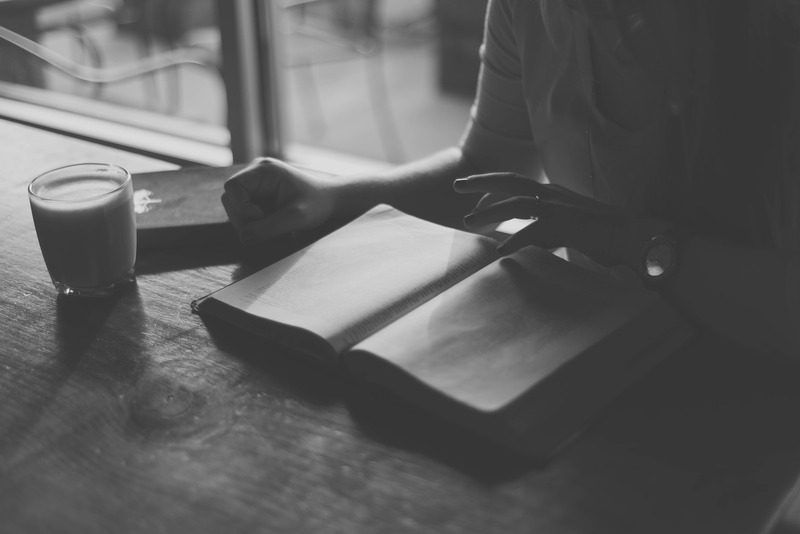 If it’s crossed your mind to look at ways to reduce the value of your total assets to be eligible to receive an age pension benefit, you should be very careful. There are strict rules governing what you can give away and when. 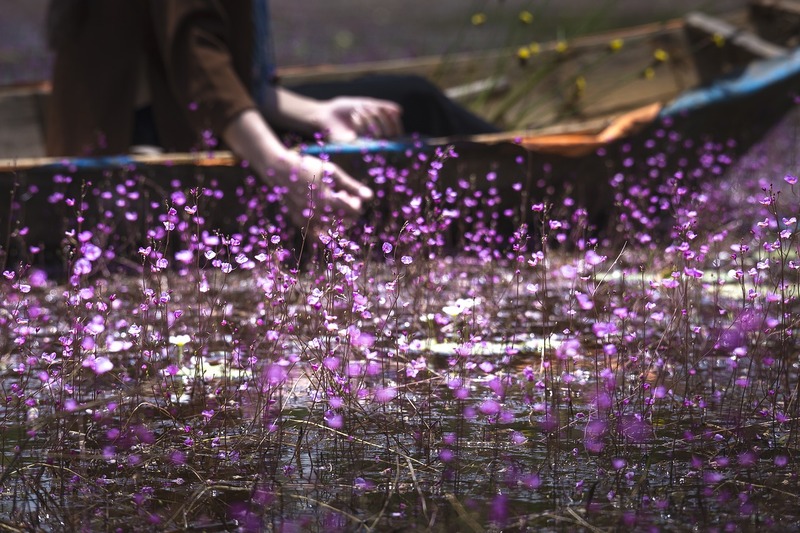 We all, to a greater or lesser extent, have an idea of our dream lifestyle. So how, as a nation, are we faring? 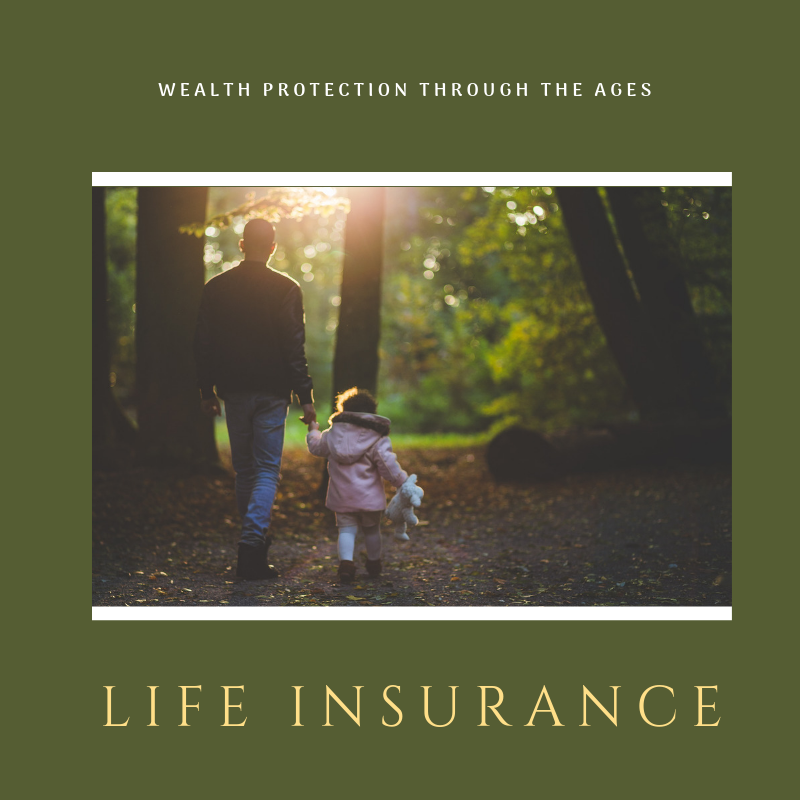 To find out, the Financial Planning Association of Australia (FPA) commissioned a survey of more than 2,600 people from around the country. 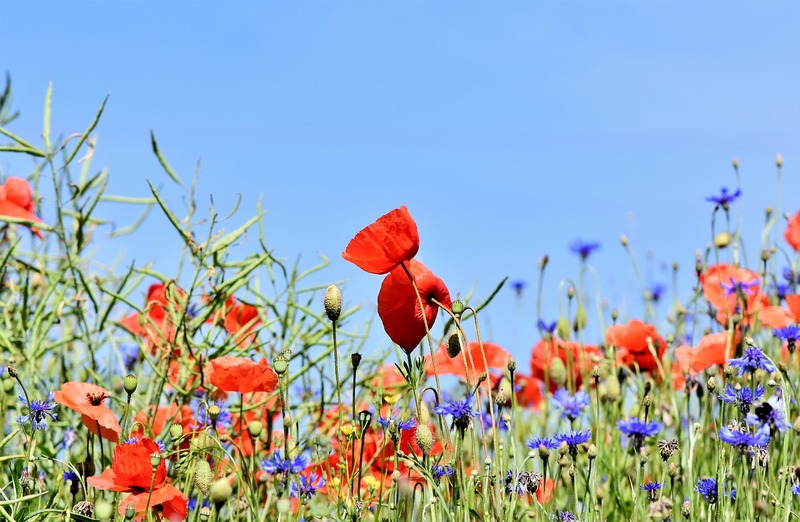 The resulting Live the Dream report provides an insight into the extent to which we are collectively living our dream life and, more importantly, reveals key habits and characteristics of those who are already doing so. An investment bond is a managed investment, usually operated by an insurance company or friendly society, where your money is pooled with money from other investors and invested in the investment options each investor chooses. 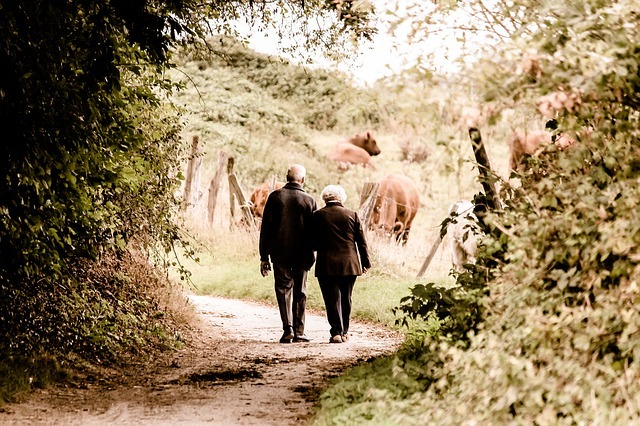 The maximum amount of superannuation that can be used to fund a tax-free pension in retirement is now restricted to a cap of $1.6 million per member. 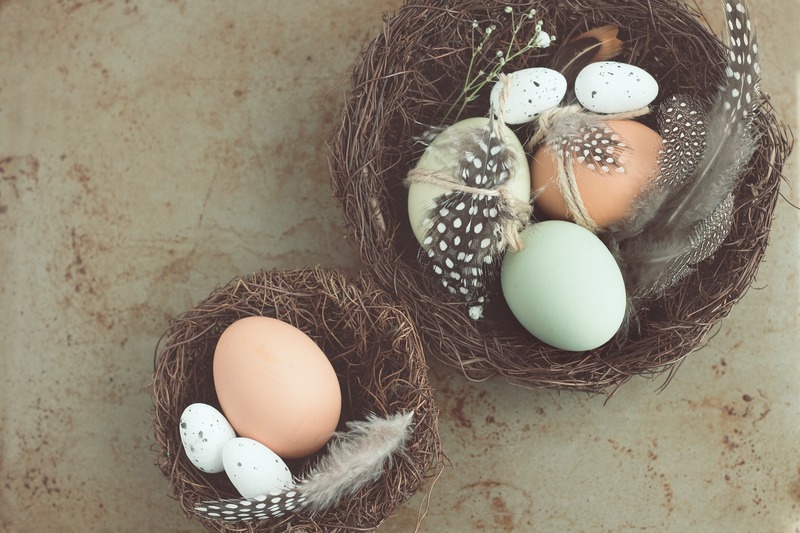 Changes to the superannuation rules in effect for the 2017/18 financial year are designed to further limit the amount of money Australians can contribute to the tax advantaged superannuation system. 2018 has seen sharemarket volatility return. Be alert - not alarmed – as the prospect for global sharemarkets remains positive. 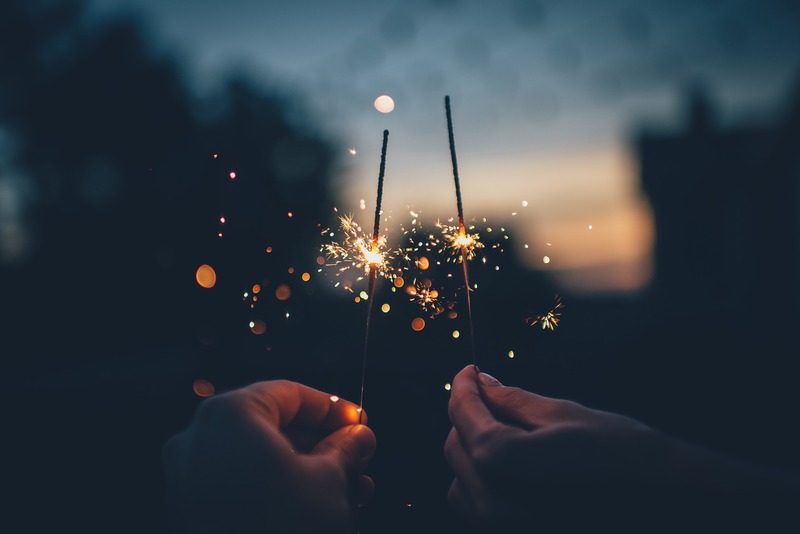 Sharemarkets, so far in 2018, are providing a contrast to the robust returns enjoyed by investors in 2017. 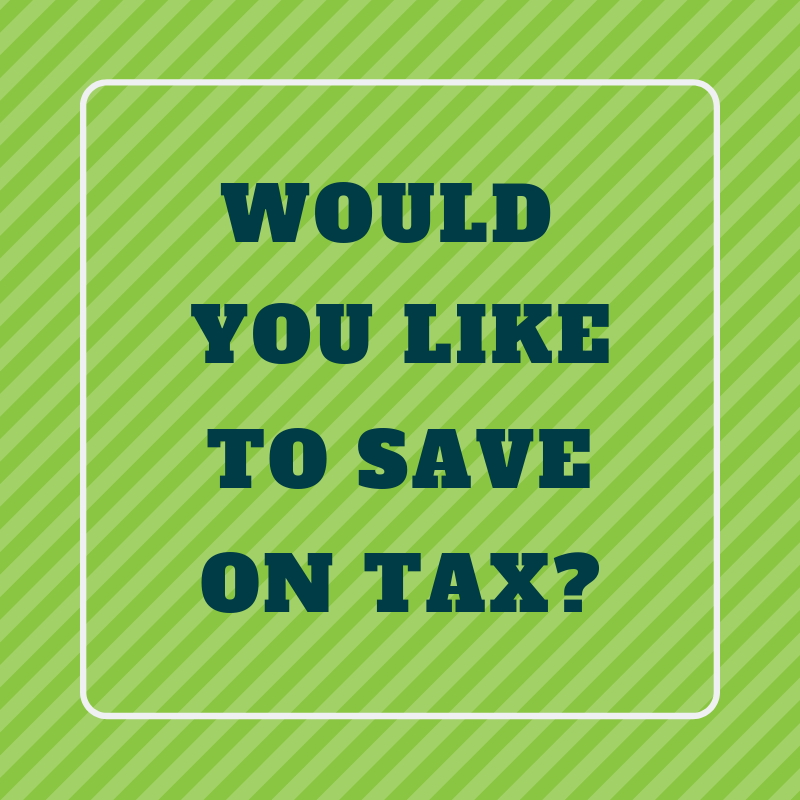 Would you like to save on tax? 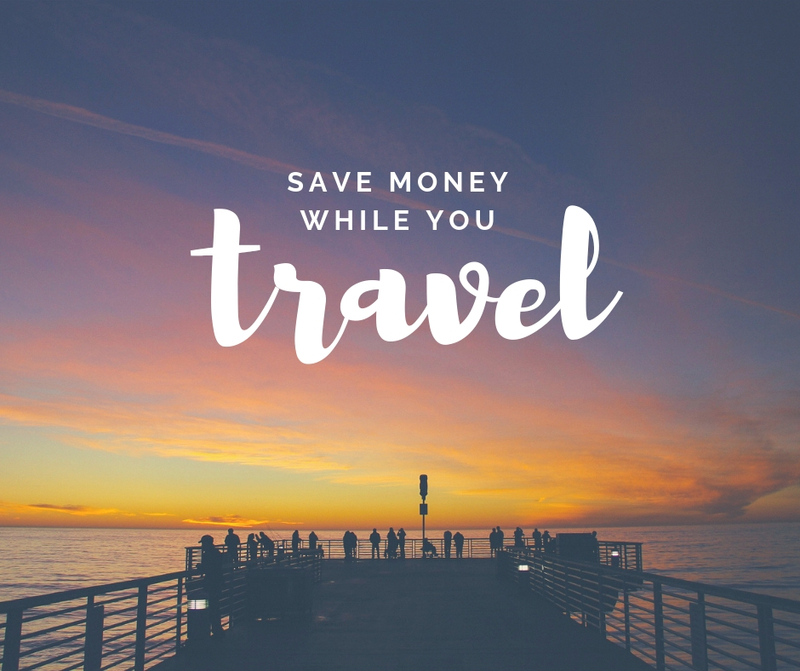 Use the extra money for a holiday or something you have planned for a long time? Here's how! 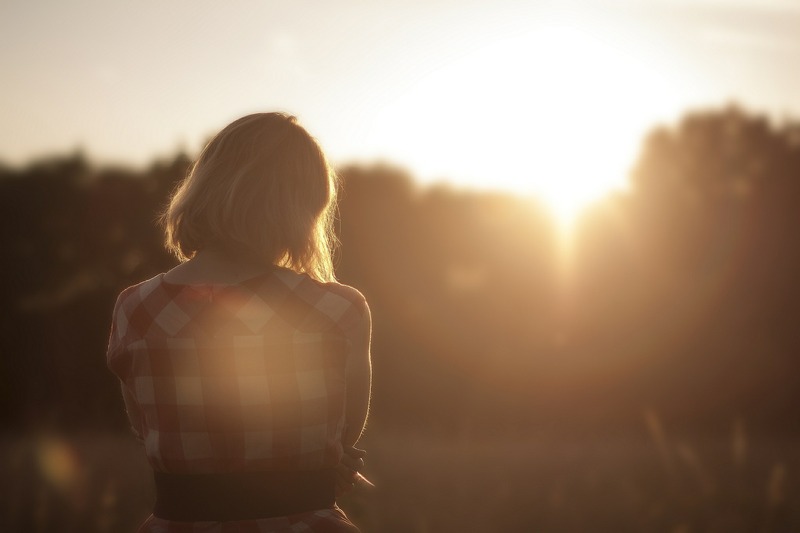 Single women make up a growing demographic for many different reasons. 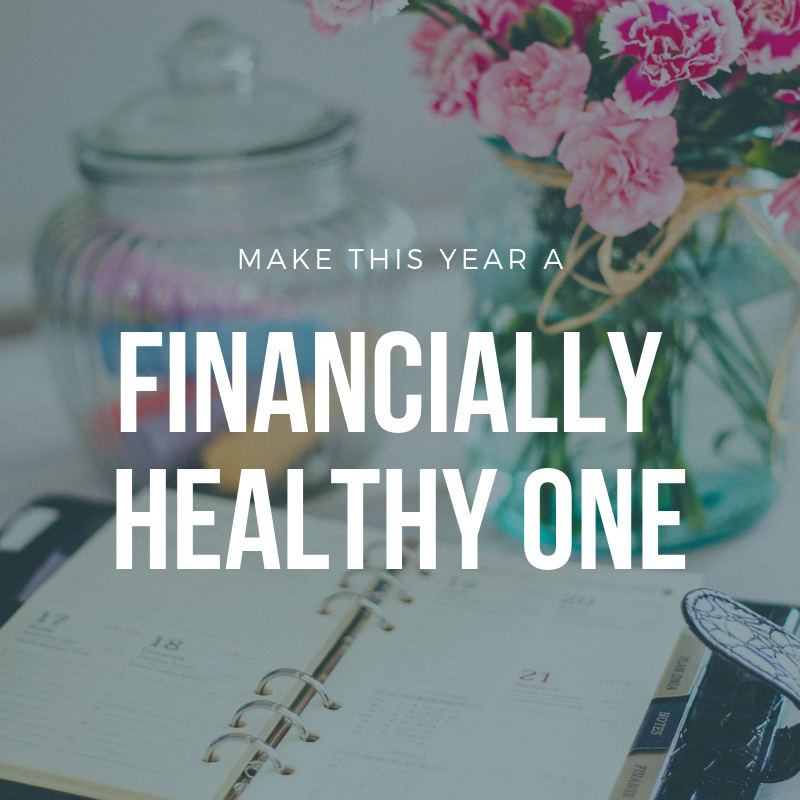 Regardless of what stage of life you are in, sound financial advice and strategic planning can set you on the path to financial independence and reducing the negative impacts of becoming “suddenly single”. If you think that being only a few days late making a payment on a loan doesn’t matter, think again. 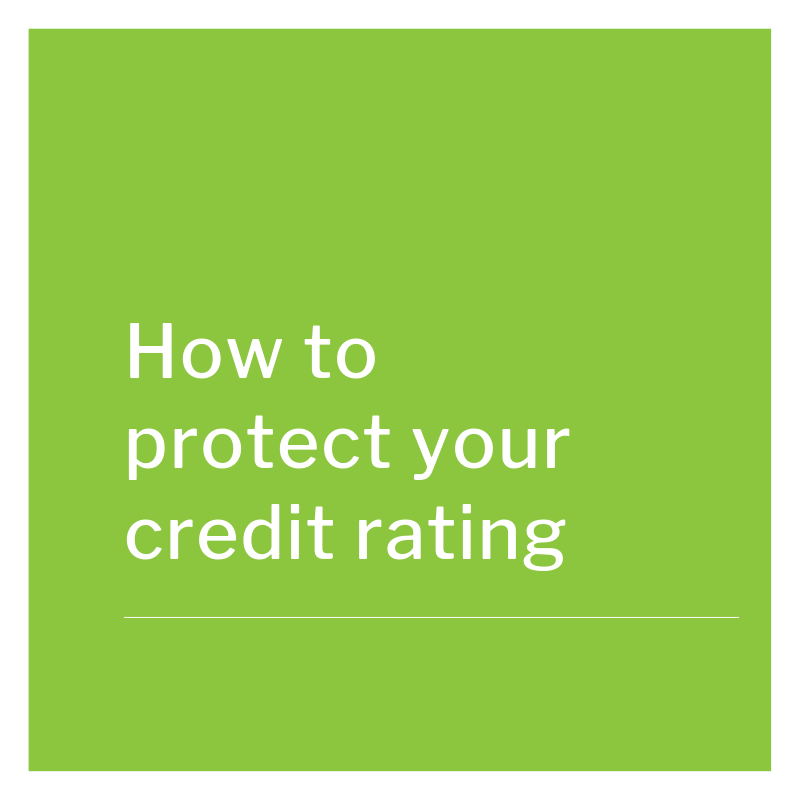 Even the smallest lapse could potentially affect your credit worthiness. Lending money to friends or family – should you do it? 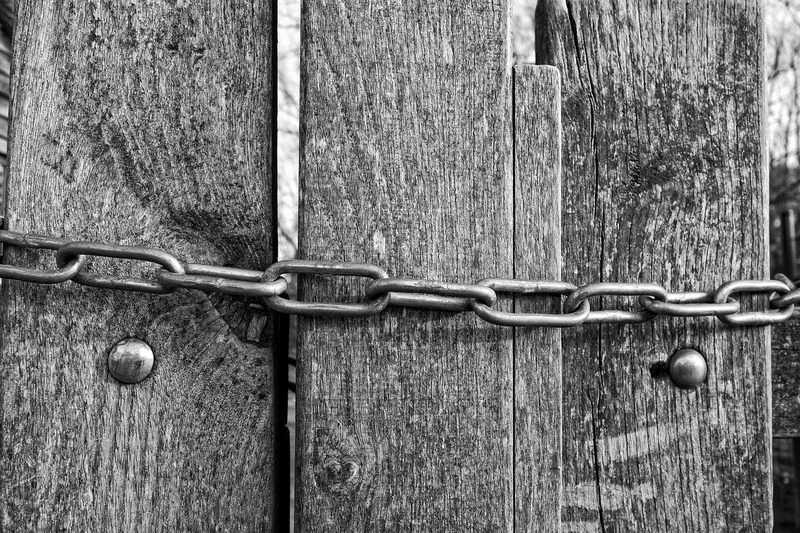 What would you do if a family member asked to borrow money – besides the less painful option of beating yourself over the head with a fence paling? You want to help, but you’re right to be wary. 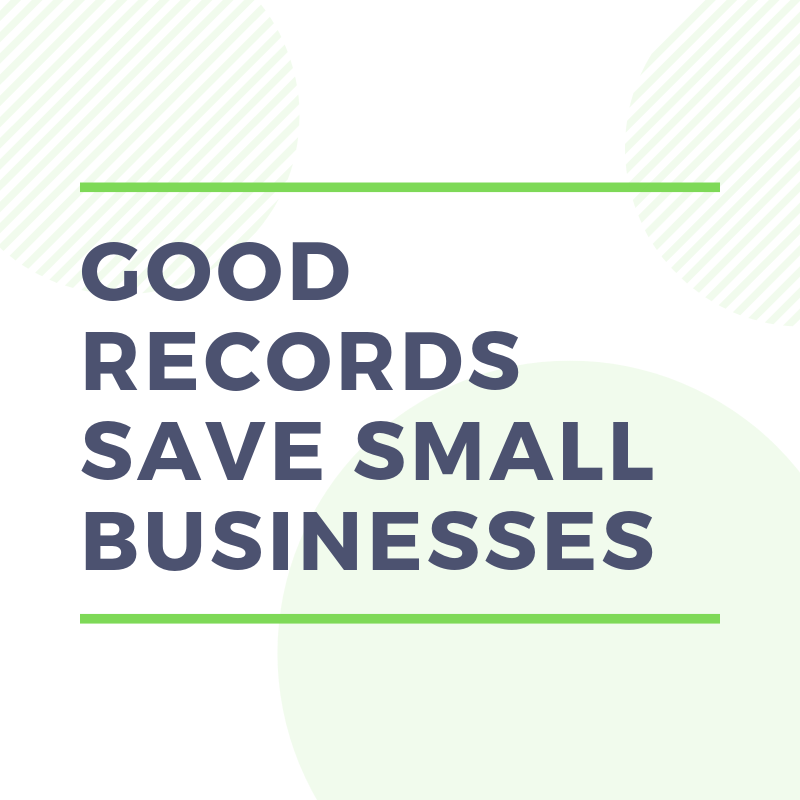 Every small business owner knows what it takes to turn a profit so when there’s an opportunity to increase profits by using tax deductions, grab it with both hands! How much does it cost to raise a child? Obviously the answer is highly dependent on individual circumstances. 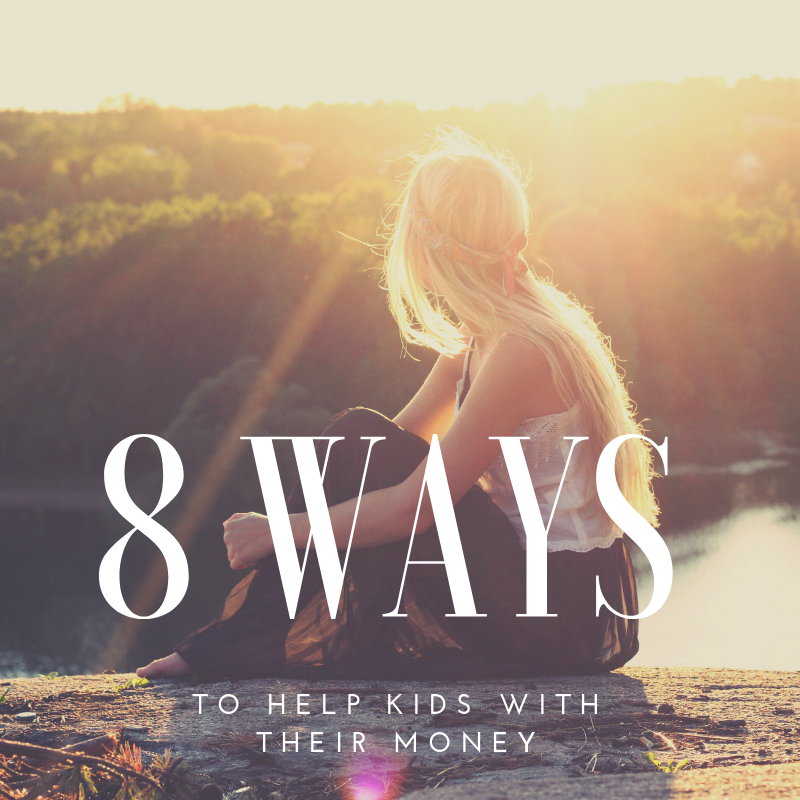 However, as a guide, a 2013 national study found that a typical middle income family would spend about $812,000 on raising two children from birth to age 24. 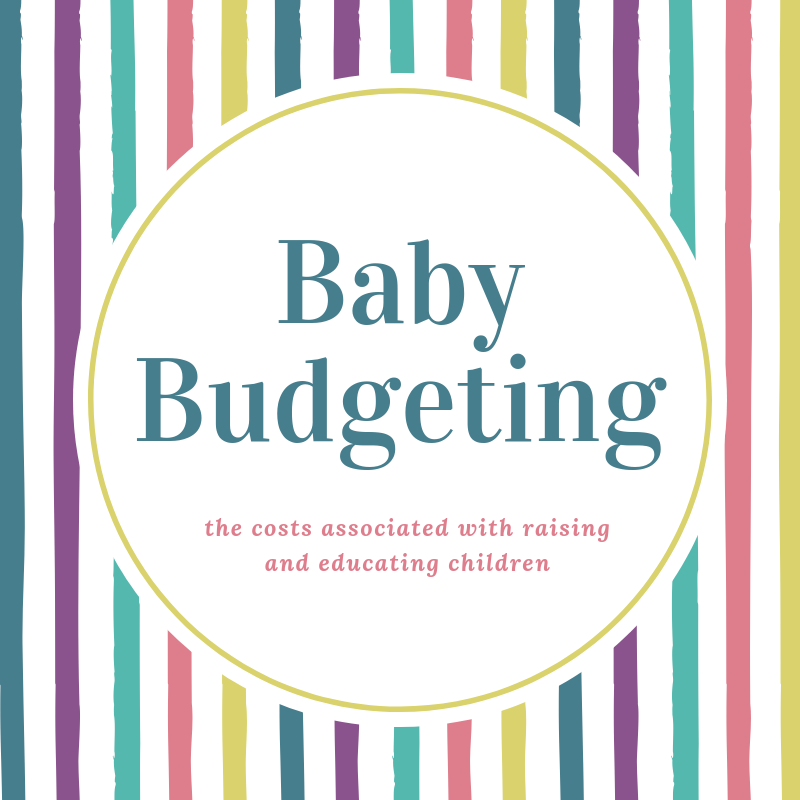 At that time child-raising costs were increasing at around 9% per annum, so it’s a reasonable estimate that these days the cost of getting two kids to the point where they’re ready to leave home (that’s not to say that they will) is closer to $1.1 million! And that’s a middle of the road figure.